As one of cultural communication activies of the 2005 Anne de la France en Chine, the photo exhibition “The secret towers of the Himalayas” will formally open to the public in the Beijing French Cultural Center in the next few days. This exhibition is sponsored by Ms Frederique Martine Darragon who is the founder and chairperson of Unicorn Foundation. This exhibition aims to raise the awareness of the government and the public about these extraordinary but nearly unknown towers (Tibetan Qiang towers). This photo exhibition is also the achievement exhibition of Ms Frederique Martine Darrgon who is the founder and chairperson of The Unicorn Foundation. Besides the tower photos that she selected from other artists, her first documentary about the ancient towers, coproduced with others, was also shown in this exhibition. The Chinese ancient towers mainly are situated in the National corridor of Southwest China, and they have a long history. As a part of an event of “2005 Annee de la France en Chine”, the photo exhibition of “The secret towers of the Himalayas” will open to the public from September 20 to 30 in Beijing French Cultural Center. This exhibition is sponsored by Ms Frederique Martine Darragon who is the founder and chairperson of Unicorn Foundation. She is aiming to raise the awareness of the government and public about cultural heritage through the ancient towers while promoting the sustainable development of tourism and culture in minority areas. It is said that the ancient towers in Southwest China have been inscribed on the 2006 Watch List of the World Monument Fund. On September 20, t he photo exhibition “Secret Towers of the Himalayas” opens in the Beijing French cultural center. Ancient towers distributed in the southwest of our country and the local conditions and customs come alive through the lens. These pictures are the investigative achievements of a group of protecting volunteers of different nationalities over the past ten years. 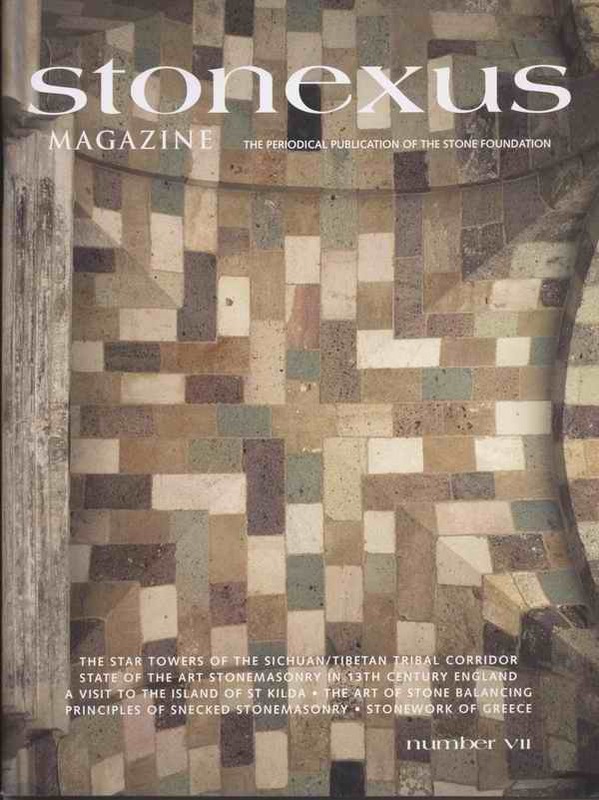 The vivid photographs have heightened the level of concern regarding the protection of the ancient towers. It is a French lady, Frederique, that has brought the volunteers together; she has a beautiful Chinese name “Bin Yan”. In 1996, Frederique was engaged in the explorations for chiru and snow leopards in the Tibetan areas of our country. While walking in the mountains during a heavy rainstorm, she noticed star-shaped skyscrapers in the distance. The ancient towers have captivated her through their overwhelming beauty. Upon further investigation, Frederique found that there were a lot of similar buildings in Tibet and Sichuan. Two years later, she returned to China and began to conduct the research for sustainable development for the areas. Since 1998, Frederique has spent most of her time in the Sichuan-Tibet area of our country. She has successively surveyed 13 times on the spot, recorded more than 150 towers with characters and videos, and obtained 60 wooden samples from 47 towers, 4 local-style dwelling houses and 1 monastery, and sent these samples to the laboratory in the U.S. for carbon dating. She also went to libraries of France and other countries to browse relevant books, expanding on information about the ancient towers. In Frederique 's researching samples, the ages of ancient towers are 900~1500 years. An accumulation of research has deemed Frederique an “authority” on the ancient towers. The lofty towers with unique star-shaped structure are mainly distributed in four areas of Southwest China. Among them, three areas are in Ganzi, Aba and Liangshan of Sichuan province, and the other is in Southwest of Tibet Autonomous Region. Frederique said with a smile that her works are not only research. The true goal is to let the research results be known to the world, thus benefiting the local people and the towers. In 2004, she co-found Sichuan University Unicorn Heritage Institute with Sichuan University. She also held an exhibition in the headquarters of United Nations, New York Explorers Club and Beijing. Her documentary is also authorized to Discovery to broadcast in most areas of the world, and all profits are used to protect the towers. Her biggest hope is that one day the ancient towers will be inscribed on the world heritage list, as well as that the people who live around towers not only protect and manage towers well, but also improve their living conditions. Frederique's hope came true when the World Monument Fund inscribed the Stone Towers of Sichuan and Tibet on their 2006 Watch List of monuments in danger, and began to raise funds. In November of this year, experts of The World Monuments Fund and the domestic experts will measure and mark the GPS position of towers that have been already discovered, then list the order of restoring the towers, and make the detailed maintenance budget. In addition, Frederique and the experts will help the local government formulate the law about protecting and managing towers. “In this process, a large number of people will participate. I find that I slowly am influencing others, as others are also influencing me.” Frederique stares at the beautiful pictures of the ancient towers, wearing a slight smile on her face. Since the early 1990s, a French woman has wandered the Tibet plateau, and the cities and rural areas of western Sichuan. Because she wants to see “Real China”, she has always traveled by hitchhiking, or taking buses or bicycles instead of renting a car. At times she even had to ride horses or yaks when there were no roads. 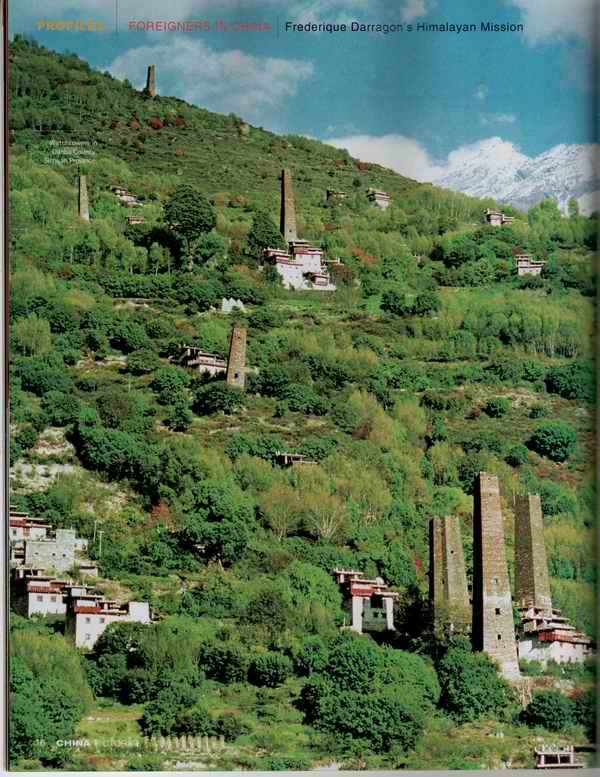 When she passed through a small town named Danba in western Sichuan in 1997, she saw many towers standing in the remote hills through the heavy rain, a grand site. Because of this adventure, this elegant western lady became attached to these unknown “Chinese ancient stone towers”. Thanks to all the lady's efforts, China will probably win a place on the UNESCO World Heritage list. Ms. Frederique Darragon, who came from Paris, is an economist by training. She is a successful sportswoman, a self-taught oil painter, and a sailor who has crossed the Atlantic. When she started her journey to China with only a dictionary, she found this country to be “more charming than the books can describe”. In fact, Ms. Darragon did not pay much attention when she first saw these extraordinary towers. S he likes exploration, and her initial goal was protecting the Tibet antelope and snow leopard. 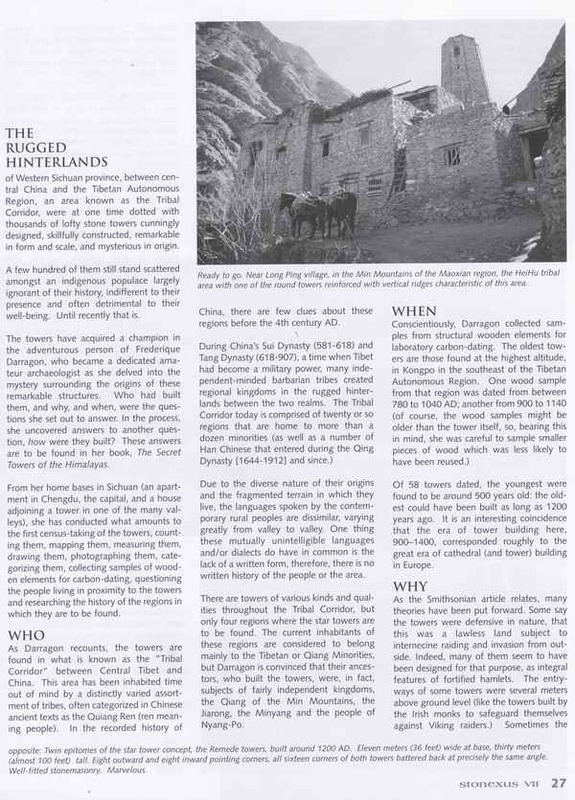 In the first month of the summer of 1998, when she set out to find snow leopard in western Sichuan, a French friend told her about the secret ancient tower groups distributed in western Sichuan province. Sixteen years ago, a Frenchman broke his leg in an earthquake during his drive to Gong Ga Shan (Gong Ga Mountain). During those travels, he got the chance to meet these unforgettable star-shaped towers. Because of the pain he suffered and lack of necessary equipment, he couldn't write down the exact location. Darragon was surprised at hearing her friend's story, because it was at least 300 km away from the place she saw the stone towers for the first time. Even so, her friend told her that no one knows who, when and why people built these towers. Darragon's curiosity was extremely stimulated, and she decided to research these mysterious structures. For a very long time, she could hardly believe that these extraordinary and huge towers were so far “neglected” by western and Chinese scholars. 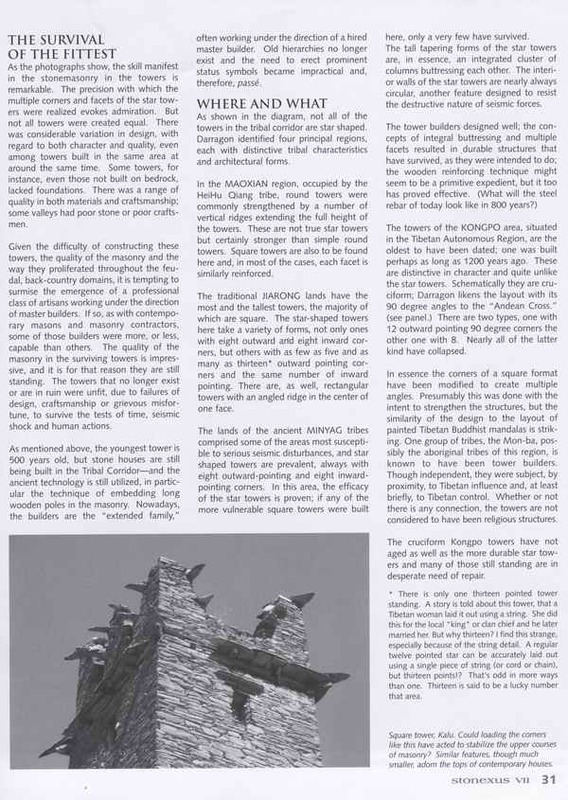 In the following 8 years, Darragon went to Sichuan and Tibetan 13 times, and found about 200 ancient towers. She took photos and measured them, and used GPS locating them. Sometimes she climbed into these towers to cut a piece of wood and sent them to laboratory for possible carbon dating. She also talked with local people and monks in broken Chinese. Monks told her that for hundreds of years, no records about these towers had been found in monastery documents, and villagers were also clueless about these secret buildings. Although many different languages and dialects still exist, there has been no written language in these areas. Villagers even took stones from these “useless towers” to build their own houses. With a friends' help, Darragon discovered a few words about secret towers in annals written in Chinese. When she went back to Europe, she referred to some Western travelers' travel notes and found out a little relevant information. These areas with ancient towers are isolated from the outside because of the geography and history of the area. In some areas people cannot communicate with others, “usually people in one valley cannot understand what the people in another valley are saying.” Darragon wonders if these materials about the ancient towers were passed down orally, and were lost with the development or the disappearance of dialects. From 2000 to 2005, Darragon has taken wood samples from 47 different towers to a US laboratory for radiocarbon dating. She found that among them, 46 towers were built with wood that had died between 900 and 1500 AD and the other 1 in Kongpo,Tibet, could be as old as 1220 years. This is the first time to date these towers scientifically. Among the more than 200 ancient towers Frederique saw, more than 40 star-shaped towers have the most research value. According to scholars, star-shaped towers are very rare. Besides China, the only similar tower groups only can be found in Iran, Tajikistan and Afghanistan, which have only eight-corner towers. Frederique found many star-shaped towers, and their shapes have 5, 6, 8, 10 even 13 points, with some as high as modern 15 story buildings. Though they are built using only a small amount of mortar, the special technology and star-shaped structure has enabled them to resist earthquakes for several centuries. “All the people I asked in the villages said these towers can resist earthquakes,” Darragon said. 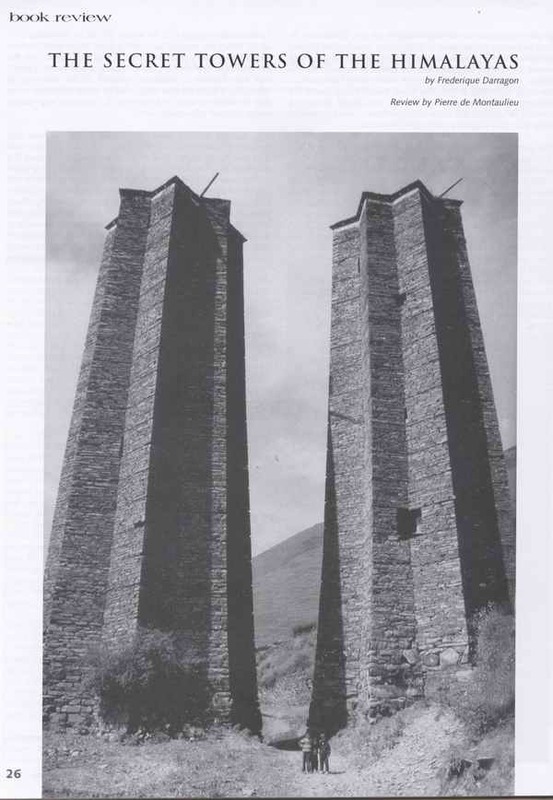 In fact, she found that all the towers in the Kongpo area of Tibet are star-shaped. However, it is certainly conceivable that those structures have survived for other reasons. According to the research of some scholars, these towers of differing age and geographic position mainly have three purposes. One idea is they served a religious function. The other is they were built as watchtowers or forts for wars. Finally, the towers might have been symbols of status or wealth. Darragon thinks that every stone tower has had different uses during different time periods. Besides the three uses mentioned above, these stone towers have been used for storage on the “Cha Ma Gu Dao”. After this realization she began to think about how to protect these cultural heritage sites. The first plan that came to her mind was to film a documentary about towers. This could help the whole world to know these extraordinary towers as well as raise funds to protect the stone towers and improve the local people's living condition. At the same time, she hopes that demonstrating the unique quality of the stone tower culture will promote the local people's consciousness about protecting their culture, and carry forward their traditional culture. After 3 months of shooting and producing, Darragon finished her first documentary, the “Secret Towers of the Himalayas”. In the autumn of 2003, she introduced her documentary to the president of Discovery Channel. The president was totally astonished by the incredible architecture-----these supernatural stone towers have existed for thousands of years, but Discovery had never known about them. When she shared that the profits would be used to help local people, Discovery immediately decided to buy the five-year global broadcasting rights (excluding China) with 300,000 dollars, and now it is being aired internationally. The documentary was broadcasted for the first time on November 12, 2004, and according to many members of the international media has aroused worldwide interest. Darragon explained to journalists why this documentary cannot be broadcasted in China: “ I do not want Chinese people to pay money to see a documentary about their own country's traditional culture. Also, I am afraid that it may attract too many Chinese tourists before these areas are ready to receive them; after all, there are too many travelers in China already.” In the meantime, she believes it is feasible to develop sustainable tourism in the local regions. “The best way to protect the towers is to let everyone show their concerns about the towers and wisely develop tourism that could improve the local population's living standards.” This documentary will be available to the Chinese public in 2006, as soon as the provincial government publishes the relevant protection law. Darragon is also worried about the aging of these ancient towers in addition to worrying about man-made destruction. In June 2004, one of the oldest towers collapsed. By then, she had already set her goal to help the Chinese government win the towers a place on the UNESCO World Heritage list, and call for worldwide attention and efforts to protect the precious sites. In August 2004, Darragon and Sichuan University co-founded the Sichuan University Unicorn Heritage Institute to research the towers and other cultural heritage sites in southwest Sichuan, as well as zoology. Frederique's non-profit organization, The Unicorn Foundation, was founded in 2001 to promote education in rural China. The Unicorn Foundation will provide seed money ( 15000 every year for three consecutive years) to Sichuan University. Thanks to Darragon's efforts and influence, inscribing these towers on the World Heritage list of UNESCO has fulfilled many people's dreams. Journalists also found out through this interview that many sites wanted to be nominated. In order to qualify, a site needs to be exceptional but also must fulfill three conditions: sufficient funds, convictive research and a scientific management plan submitted by the government. Therefore, the choice of the Chinese sites to be proposed for listing entirely depends on the Chinese government. Darragon told journalists that now the local government and people fully support her. The recent inscription of the ancient towers on 2006 Watch List of the World Monument Fund makes Frederique very happy. The World Monument Fund is a private non-profit international organization, which is devoted to protecting monuments and sites worldwide. WMF agreed to provide funds and experts to protect the towers. The photo exhibition of “The Secret Towers of the Himalayas” that have already been inscribed on the 2006 Watch List of the World Monument Fund open to the public beginning on September 20. Fifty seven beautiful photos will appear in the Beijing French Cultural Center. The photographs of the towers at the exhibition display the minority people's cultural styles along with a beautiful scenic background of mountains and rivers. These towers are mainly distributed in the Ganzi, Aba and Liangshan regions of Sichuan province and Tibet Gongbu. The photographer, Ms Frederique Martine Darragon, said: “Due to the unique protective value and the threats they face, the World Monument Fund has inscribed the towers on the 2006 Watch List. We are restoring these towers in order to keep the local customs and national culture.” Her documentary “The Secret Towers of the Himalayas” was also shown at the press conference as additional material. This exhibition opens to the public from September 20 to 30 in the Beijing French Cultural Center, and this is its fourth stop of the series exhibition, which will be shown next in Hong Kong and Paris. The photo exhibition “The Secret Towers of the Himalayas”, which the travel lovers, explorers and cultural relic protectors will particularly notice, will formally open to the public from today to the 30 th in the Beijing French Cultural Center. It is said these ancient towers with unique star-shaped structures are mainly distributed in four areas of western China; 3 in the Ganzi, Aba and Liangshan regions of Sichuan province, the other 1 in Tibet Gongbu. There were once thousands of towers in the Tibetan Plateau, but today there are only several hundred. These uniquely contructed buildings, standing as tall as 100 meters high, were built with natural stones and a little mortar. The structure is largely earthquake resistant due to the wooden beams inserted into the stones. Restricted by the local language, we cannot know the origin of ancient towers. However, the unique shapes and construction characteristics of the ancient towers, as well as the excellent technologies of the builders can prove their important historical and cultural value. Due to the unique protective value of these ancient towers as well as the threats they face, on June 21 the World Monument Fund (WMF) formally announced the inscription of the nearly unknown ancient towers on the 2006 Watch list in New York. On September 20, t he photo exhibition “Secret ancient towers of Himalayas” opens in Beijing French Cultural Center. The Ancient towers which are distributed in the southwest of our country as well as the local inhabitants' costumes and customs are blown into our faces. Golden-red long curly hair, a slim and healthy stature, twinkling eyes and a resonant voice, all are brimming with the enthusiasm and the strength of Frederique. It is not hard to believe that this lady has, during seven years, crisscrossed Kham in order to explore the mystery of the Chinese ancient towers. In 1996, Frederique was exploring some Tibetan areas of our country in search of snow leopards, a going through a detour because the road she was planning to take had been washed away by the monsoon rain, she suddenly found herself staring at star-shaped “skyscrapers” emerging through the heavy rain. Through her later travels Frederique started noticing many such buildings in Tibet and Sichuan. Who built them? Why and when?. Two years later, after finding out that nobody appeared to know the answers, Frederique begun researching these amazing constructions. From 1998 on, Frederique, spurred by her fascination with the road less traveled, has spent lots of her time in Sichuan-Tibet area of our country . During this 7 years Frederique has taken 13 field trips and, usually alone or only accompanied by local people she has located and documented more than 150 towers and collected more than 100 samples of wood. Samples from 47 towers as well as from 4 ancient houses and 1 monastery were sent to a US laboratory for carbon-dating. 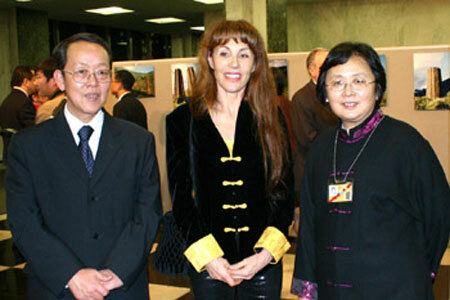 In order to cooperation with Chinese scientific community, in 2004, she co-found Sichuan University Unicorn Heritage Institute with Sichuan University; in order to make more people know about the towers, she also held 2 Photo Exhibits in New York, one at the headquarters of the United Nations, the other at the Explorers Club. Another one took place at the Sichuan University Museum just before the current one in Beijing. She filmed a documentary about the towers; this documentary was bought by Discovery Channel and is now being broadcast all around the world; the profits are used to protect the towers. .
At the same time, Frederique submitted an application to The World Monuments Fund requesting the inscription of the Stone Towers of Sichuan and Tibet on their 2006 Watch List of monuments in danger. And in June of this year, the inscription was made public. The WMF as well as the Unicorn Foundation have started raising funds for the restoration of the towers and have already achieved some success. Working for an inscription on the UNESCO World Heritage List. Frederique wishes that, one day, the Ancient Towers will be inscribed on the UNESCO World Heritage List. But most of all she wants to improve the living conditions of the people living near the towers while protecting their unique and extraordinary culture. She says that around November, domestic experts together with World Monuments Fund experts will survey the towers listed for restoration and check their GPS location and the restoration budgets. In addition, Frederique and the experts will help the local government formulate the law about protecting and managing towers. A comprehensive report about the towers including Frederique's as well as other researchers' findings will be handed to the Chinese Government in 2006. 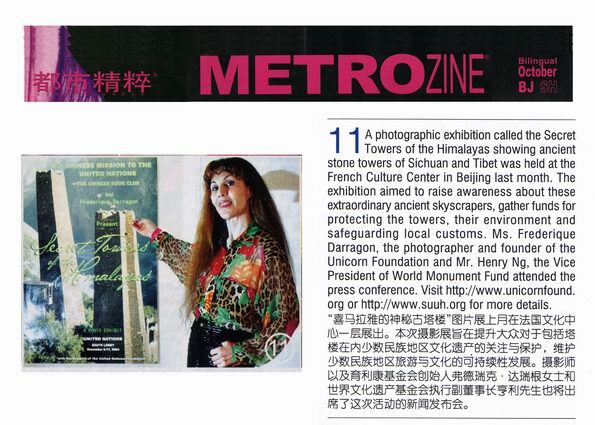 (Reporter Zhang Ran) The photo exhibition “The Secret Towers of the Himalayas”, part of an event of 2005 Annee de la France en Chine, was sponsored by Ms Frederique Martine Darragon, and was formally opened to the public from September 20 to 30 in the Beijing French Cultural Center yesterday. This exhibition aims to raise the awareness about these nearly unknown extraordinary towers (Tibetan Qiang towers) in Southwest China. Since the first time she saw the towers in 1997, she has already made 13 field trips, and located and recorded more than 150 ancient towers. Among them, 46 of the ancient towers were built with woods that grew between 900 and 1500 AD, and the other 1 situated in Tibet Gongbu could be as old as 1220 years. The photo exhibition named “The Secret Towers of the Himalayas” formally opens to the public from September 20 to 30 in the Beijing French Cultural Center. This exhibition is sponsored by Ms Frederique Martine Darragon, who is the founder and chairperson of Unicorn Foundation. The reporter knew this from the press conference of “The Secret Towers of the Himalayas” held on September 12. This exhibition was part of an event of the 2005 Annee de la France en Chine. Due to the unique protective value of these nearly unknown ancient towers distributed in minority areas, as well as the threats they face, on June 21 the World Monument Fund (WMF) formally announced the inscription of the ancient towers on the 2006 Watch list in New York. These towers have been inscribed on the 2006 Watch List of the World Monument Fund, which has close relationships with the tireless work and passion of Ms Frederique Darragon. Ms Frederique hopes the government and public will come to know the historic value of these ancient skyscrapers through this exhibition. At the same time, the exhibition is an appeal to the government and public to promote the sustainable development of local tourism and culture through cooperation, on the basis of protecting wild animals, natural environment and local customs. The bilingual photography book “The Secret Towers of the Himalayas” edited by Ms Frederique Martine Darragon and her documentary were also introducted to the public at the conference. It is said that the US Discovery Channel bought its broadcasting rights for 5 years around the world, excluding China, and it is now televised around the world. These ancient towers with unique star-shaped structures are mainly distributed in four areas of western China; among them are three in the Ganzi, Aba and Liangshan regions of Sichuan province, and the other 1 in Tibet Gongbu. These uniquely constructed buildings, up to 100 meters high, were built with natural stones and a little mortar. The structure of the buildings are earthquake resistant due to the wooden beams inserted into the stones. Although restricted by the local language (there is no written history of the area), we cannot know the origin of the ancient towers. 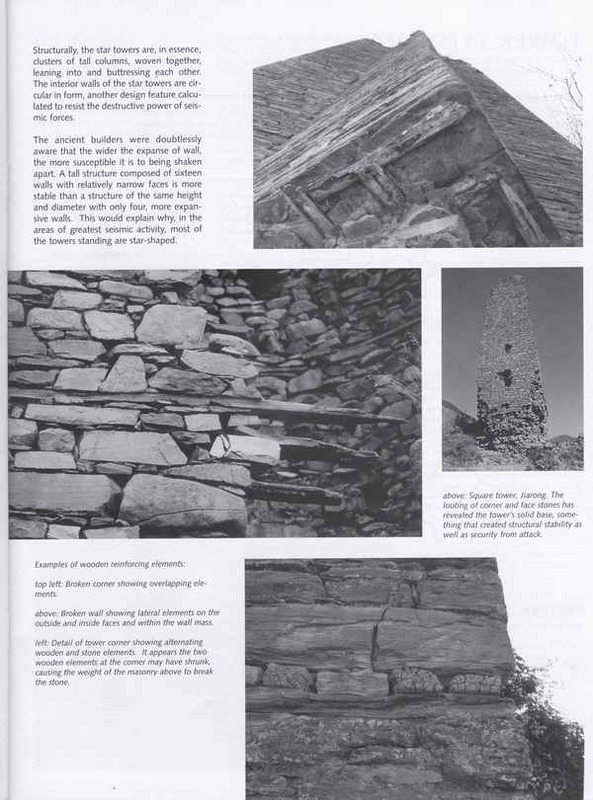 However, the unique shapes and construction characteristics of the ancient towers and the excellent technologies of the builders can prove their important historical and cultural value. 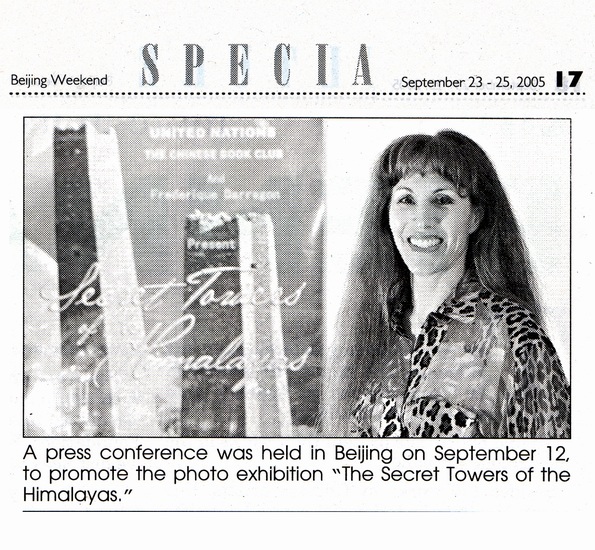 On September 12, 2005, a press conference was held for the photo exhibition of “The Secret Towers of the Himalayas”, which was a part of an event of the 2005 Annee de la France en Chine. “The Secret Towers of the Himalayas” , which will grab the attention of travel lovers, explorers and cultural relic protectors will formally open to the public from September 20 to 30 in the Beijing French Cultural Center. This exhibition is sponsored by Ms Frederique Martine Darragon. This exhibition aims to raise the awareness of government and the public about these nearly unknown towers (Tibetan Qiang towers) in Southwest China. Ms Frederique hopes the government and public will better understand the historical value of these ancient skyscrapers through this exhibition. She also hopes to appeal to the government and public to promote the sustainable development of local tourism and culture through cooperation on the basis of protecting wild animals, natural environment and local customs. As a part of an event of the “2005 Annee de la France en Chine”, the photo exhibition of “The Secret towers of the Himalayas” will open to the public from September 20 to 30 in the Beijing French Cultural Center. This exhibition, sponsored by Ms Frederique Martine Darragon, the founder and chairperson of Unicorn Foundation, is aiming to raise the awareness of the government and public about cultural heritage including towers in minority areas, and promoting the sustainable development of tourism and culture in minority areas. It is said that the ancient towers in Southwest China have been inscribed on the 2006 Watch List of the World Monument Fund. As a part of an event of the “2005 Annee de la France en Chine”, the photo exhibition of “The Secret Towers of the Himalayas” will open to the public from September 20 to 30 in the Beijing French Cultural Center. 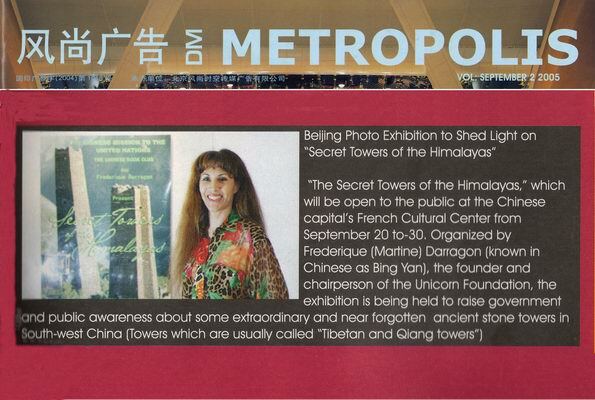 This exhibition is sponsored by Ms Frederique Martine Darragon, the chairperson of The Unicorn Foundation, and is aiming to raise the awareness of the government and public about these nearly unknown Tibetan 、 Qiang towers (ancient towers) in Western China. Frederique, who was born in France, thinks of herself as “a citizen of the planet”. Her life experience is legendary; She is a economist by training, a self-taught oil painter, a sailor who crossed the Atlantic, a jockey of English thoroughbreds, a polo player who kept 2 records for 15 years, and a woman of many languages. She came to China in 90s, and has spent 5 years in rural areas. Her Chinese name is Bin Yan, and in 2001 she found Unicorn Foundation to promote the development of education in remote areas of China. From the first time she saw the towers in 1997, she has made 13 field trips, locating and recording more than 150 ancient towers. She also took wood samples from 47 towers (Some are dated twice), 4 local houses and 1 monastery and sent them to a laboratory for carbon dating. The ancient towers with unique star-shaped structures are mainly distributed in the Aba, Ganzi, and Liangshan regions of Sichuan province, and the Tibet Gongbu region. Due to their unique cultural value and the threats they faced, on June 21 the World Monument Fund announced the inscription of the ancient towers on the 2006 Watch List. All those who have close relationships with Frederique's tireless work believe that the Qiang towers of Tibet, the Four Girls mountains and other relevant sites apply to the World Natural and Cultural Heritage. In 2001, Frederique shot and produced her first documentary: “The Secret Towers of the Himalayas. In 2003, the US Discovery Channel bought the worldwide broadcasting rights for 5 years, excluding China, and it has now been televised around the world. Since November 2004, Frederique has already held the photo exhibition named “The Secret Towers of the Himalayas” in the headquarters of United Nations, New York Explorers Club and Sichuan University Museum, one after the other. The photo exhibition, which will show at the Beijing French Cultural Center, is the fourth stop. Next year, the exhibition will be in Hong Kong and Paris. All the profits of the documentary and photo exhibition will be donated to The Unicorn Foundation. (Reporter Mao Yinyin) The photo exhibition of “The Secret Towers of the Himalayas”, as a part of an event of the 2005 “Annee de la France en Chine”, will draw the attention of travel lovers, explorers and historical relic protectors, and will formally open to the public from September 20 to 30 at the Beijing French Cultural Center. This photo exhibition, sponsored by Ms Bin Yin, the founder of Unicorn Foundation, aims to protect these unique and nearly unknown Tibetan 、 Qiang towers in Western China, and promote the development of local tourism and environmental protection. At present, through the efforts made by Frederique and others, the World Monument Fund has already inscribed these ancient towers in Western China on the 2006 Watch List, and will offer special funds to protect and restore the ancient towers in Sichuan and Tibet. 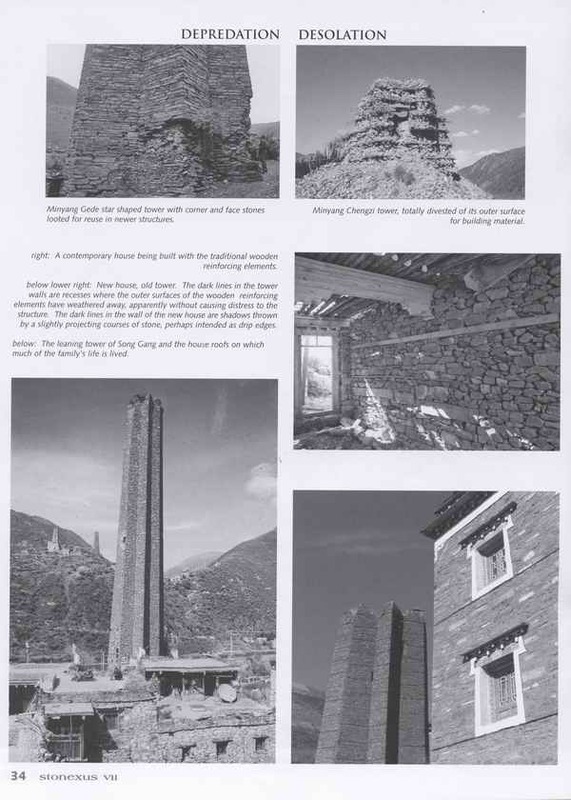 It is said that the so-called ancient stone towers are the “Diao Lou”, which have unique star-shaped structures, and are mainly distributed in today's Aba, Ganzi, and Liangshang regions of Sichuan province and also a region of southwest Tibet. These unique buildings, standing at about 100 meters high, are built with huge natural stones and a little mortar. Their structure is very earthquake resistant. Among the 200 towers, the oldest are about 1200 years old, the newest are about 500 years old. The photo exhibition named “The Secret Towers of the Himalayas”, which will interest travel lovers, explorers and historical relic protectors, will be open to the public from September 20 to 30 in the Beijing French Cultural Center. This photo exhibition aims to make the government and public aware of the historical value of these ancient skyscrapers, at the same time, appeals to the government and other organizations to promote the sustainable development of local tourism and culture through cooperation on the basis of protecting wild animals, the natural environment and customs in minority areas. Ms. Frederique also introduced her bilingual photography book “The Secret Towers of the Himalayas” and her documentary film to the public at the press conference. (Wang Yan) A photo exhibition named “The Secret Towers of the Himalayas”, as a part of an event of the 2005 “Annee de la France en Chine”, will open to public in the Beijing French Cultural Center. Ms Frederique Martine Darragon (Bin Yan)'s photos and documentary will be shown for the first time. She told reporters that in June the World Monument Fund has formally announced the inscription of these nearly unknown towers on the 2006 Watch List. 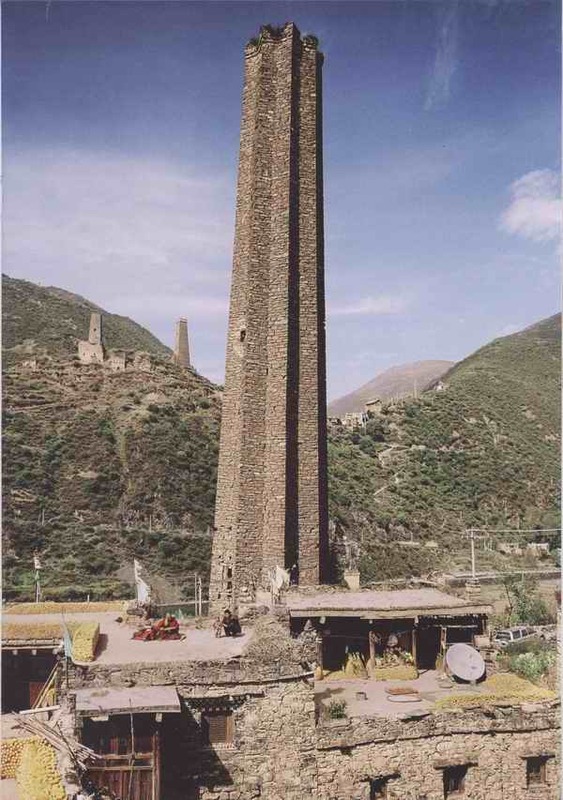 According to Bin Yan's introduction, these ancient towers with unique star-shaped structures are mainly distributed in four areas of southwestern China, as well as several hundreds towers with different shapes in the Tibetan Plateau. These uniquely constructed buildings sometimes with 100 meters high, were built with natural stones and a little mortar. For anti-earthquake purposes, wooden beams were inserted into the stones. Restricted by the lack of a written history of this region, we cannot know the origin of ancient towers, but their unique shapes and construction characteristics can prove their important historical and cultural value. Eight years ago, a chance meeting drew the attention of a French lady to the ancient towers in southwest China; 7 years ago, this French lady began to conduct her research concerning “The ancient star-shaped stone towers in Southwest China”. From September 20- 30, 2005, a photo exhibition named “The Secret Towers of the Himalayas”, sponsored by Frederique Darragon, will formally open to the public at the Beijing French Cultural Center. At the press conference held on September 12, Frederique Darragon said, “these ancient towers belong to the world; this exhibition aims to raise the awareness of the government and the public about these extraordinary but nearly unknown towers, and thus promote their research and protection.” This photo exhibition also is one of the cultural exchange activities of the 2005 Annee de la France en Chine. Frederique, who was born in France, regards herself as “a citizen of the planet”. She is an economist by training, as well as a self-taught oil painter, a sailor who crossed the Atlantic, a jockey of English thoroughbreds and a polo player who held 2 records for 15 years. She came to China in the early of 90s, and has spent 5 years in China remote areas. In 2001, she founded the Unicorn Foundation to promote the development of education in the remote areas of China. Frederique likes exploration; her first trip to China being to protect endangered wild animals. Tracking Tibetan antelope and snow leopards directed her travels to regions of Tibet and Sichuan Province. One rainy day in 1997, Frederique was on the road to Danba when from her car window she spotted a skyscraper standing on the distant hillside. This was her first introduction to the ancient stone towers. Then she found similar buildings in Tibet Gongbu. These ancient towers with a unique star-shaped structure are mainly distributed in four areas of southwestern China; among them, 3 in the Ganzi, Aba, and Liangshan regions of Sichuan province, and the other one in the Gongbu region of Tibet. It is said that there were once thousands of ancient towers on the Tibetan plateau, but only several hundred are still in existence today. These uniquely contructed buildings, sometimes standing as tall as 100 meters high, were built with natural stones and a little mortar. For anti-earthquake, wooden beams were inserted into the stones. “Who built them? When? And for what purpose?” Since she first became aware of the existence of these towers, Frederique has pondered these questions. After 1 year, Frederique formally began her research. For the following 7 years she made 13 field trips into Sichuan Province and Tibet, locating and recording more than 150 ancient towers. Between 2000 and 2005, she has taken 60 wood samples from 47 ancient towers (some were dated twice), 4 local houses and 1 monastery, and sent them to a US laboratory for carbon-dating. The carbon dating indicates that 46 were built with wood which grew between 900 and 1500 AD, with 1 tower situated in Gongbu region of Tibet possibly as old as 1220 years. But there are still many puzzles. Defense? Frederique is skeptical due to the windows of the towers being too narrow for using a bow and arrow. A kind of religious construction? But Frederique found no indication of this in religious texts of the region. 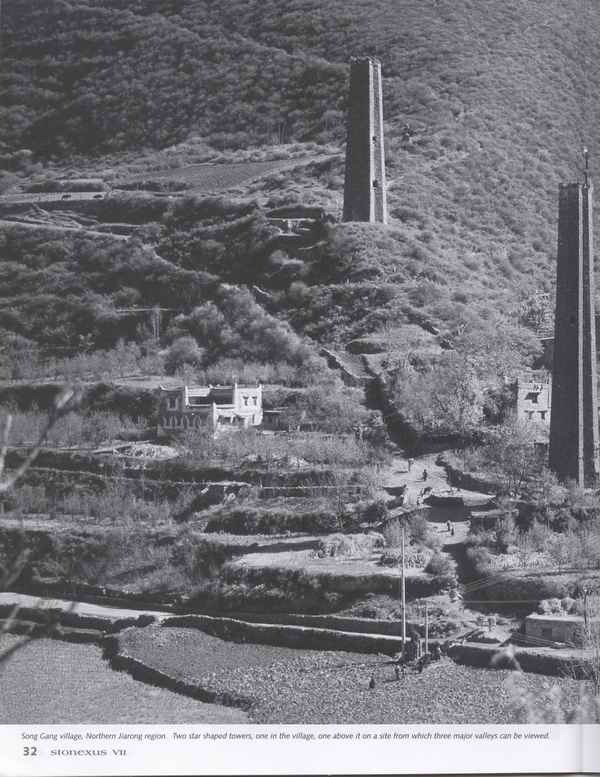 Some researchers believe that they may have been used to store commodities because these towers are distributed near Cha Ma Gu Dao. Others think that the towers may have served to demonstrate the status and wealth of certain individuals at that time. All of these questions are fascinating to Frederique. But Frederique is very worried because she has found that protection work in field trips is substandard. “So far, there is no organization to count these towers and protect them.” In 2001, Frederique shot and produced her first documentary: “The Secret Towers of the Himalayas.” The Discovery Channel has bought the rights to broadcast the documentary for 5 years around the world, excluding China. The worldwide broadcast of this documentary has led to an increasing interest among people everywhere. “The best way to protect these ancient towers is to make people more aware of them”. One of Frederique's major goals for the towers was to get them funded and protected as a World Heritage Site by UNESCO. Since the inscription of ancient towers on the 2006 Watch List of the World Monument Fund, the show of the photo exhibition and the documentary, these ancient towers are attracting more and more people's attention. “These ancient towers belong to the world, but they need more Chinese people's attention and protection”, Ms. Frederique said at the press conference. A photo exhibition named “The Secret towers of the Himalayas” will be open to public from September 20 to 30 in the Beijing French Cultural Center. Frederique Martine Darragon, who is the founder and chairperson of the Unicorn Foundation, has sponsored this exhibition. These ancient towers are distributed in Southwest China, most of them built with huge natural stones and a small amount of mortar, a unique tecnique. Regarding anti-earthquake, wood beams were inserted into the huge stones. Their unique shapes and characteristics and the builders' excellent techniques are surprising. This photo exhibition aims to raise public awareness about the historical value of the ancient towers, and promote the development of local sustainable tourism on the basis of preserving and protecting local culture, as well as wild animals and their natural environment. On September 12, 2005, the press conference of “The Secret Towers of the Himalayas”, part of the event “Annee de la France en Chine”, was officially held in the Beiji ng French Cultural Center. This photo exhibition will be open to the public at the Beijing French Cultural Center from September 20 to November 15. 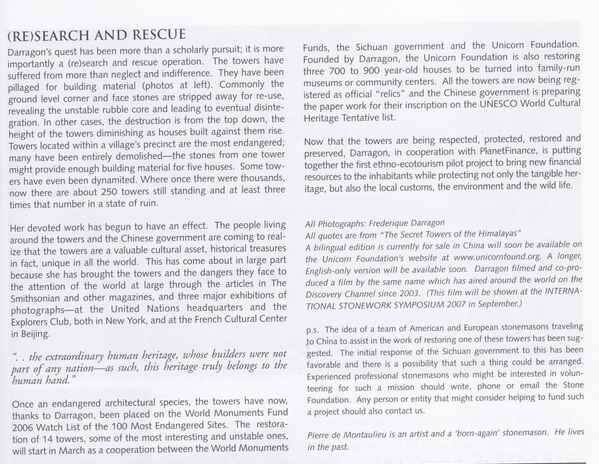 Organized by Frederique (Martine) Darragon (known in Chinese as Bing Yan), the founder and chairperson of the Unicorn Foundation, this exhibition is being held to raise the awareness of the government and the public about these extraordinary and nearly forgotten ancient stone towers (Tibetan Qiang towers) in Southwest China. These hardly known secret towers distributed in remote areas were inscribed on the 2006 Watch List of the World Monument Fund, which has close relations with the tireless work and passion of Ms Frederique Darragon, the founder and chairperson of Unicorn Foundation. Many other organizations, especially the China Cultural Heritage Institute, have offered their assistance to this project. Due to the unique cultural value of the ancient towers as well as the threats they faced, on June 21 the World Monument Fund (WMF) formally announced the inscription of the little known ancient towers on the 2006 Watch list in New York. At the press conference, the executive vice-president Mr. Henry Ng introduced the important role the WMF played in protecting and restoring cultural heritage around the world, especially in China. Frederique Martine Darragon's bilingual photo book named “The Secret Towers of the Himalayas” and her documentary were also introduced to the public at the conference. Frederique, who was born in France, came to China in the early 90s, and has spent 5 years in rural areas of China. She founded the Unicorn Foundation in 2001, and she devotes herself to promoting the development of education in remote areas. Since she first saw the ancient towers in 1997, she has done 13 field researches, and located and recorded more than 150 towers. 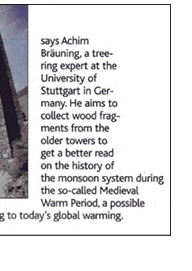 Between 2000 and 2005, she has gathered 60 wood samples from 47 ancient towers (some were dated twice), 4 local houses and 1 monastery, and sent them to a US laboratory for carbon-dating. Among the samples, 46 were built with wood from trees that grew between 900 and 1500 AD, and the other 1 tower situated in Tibet Gongbu is possibly 1220 years old. This is the first time these ancient towers have been dated scientifically. Ms Frederique thinks that studying these towers is the only way to know the local tribe's histories because there are no written records in these areas. She believes that many star-shaped towers probably are related to Cha Ma Gu Dao. 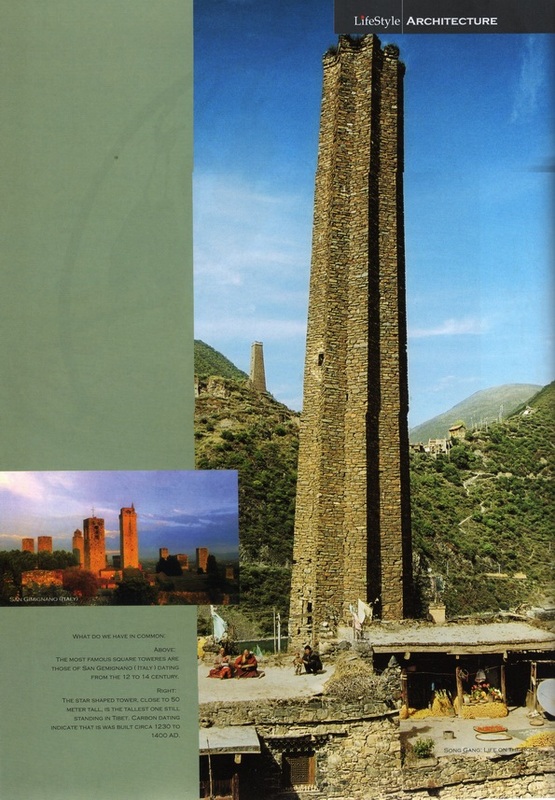 With the inscription of the ancient towers on the 2006 Watch List of the World Monument Fund and the showing of the documentary and the photo exhibition around the world, the local government, the local people and other social organizations pay more attention to the tower's protective value and the tourism potential. Frederique, cooperating with other organizations and volunteers, is now preparing a project management plan, which not only protects the ancient towers, but also includes the environment and it's wildlife. This plan also includes developing the local sustainable tourism to improve the local people's living standard and their cultural self-esteem. The photo exhibition of “The Secret Towers of the Himalayas”, as a part of an event of 2005 “Annee de la France en Chine”, More than 50 photos are provided by the French lady Frederique Darragon (Her Chinese name is “Bin Yan”) who is the founder and chairperson of the Unicorn Foundation and other photographers for free. These ancient towers with unique structures were built with stones, and they are hundreds even thousands of years old. They are mainly distributed in minority areas such as Ganzi, Aba, and Liangshan regions of Sichuan Province and the Gongbu region of Tibet. In September 2006, they were inscribed on the 2006 Watch List by the World Monument Fund. A photo exhibition named “The Secret Towers of the Himalayas” will be officially open to the public at the Beijing French Cultural Center from September 20. More than 50 photos are provided by the French lady Frederique Darragon (Her Chinese name is “Bin Yan”) who is the founder and chairperson of the Unicorn Foundation and other photographers for free. A photo exhibition of “The Secret Towers of the Himalayas” that will open at the Beijing French Cultural Center on September 20 will show ancient towers of Southwest China to the Beijing people from the view of a French female photographer. At the press conference yesterday, reporters were told that the exhibition, consisting of 50 photos, will be part of the event of “Annee de la France en Chine”, and will be open for 10 days, ending on September 30. The French photographer, Frederique Martine Darragon , has explored and recorded more than 150 ancient towers in Sichuan and Tibet provinces since 1997. On June 21, the World Monument Fund announced officially that ancient towers in Sichuan and Tibet have been inscribed on the 2006 Watch List in New York City. Yesterday a press conference for the photo exhibition “The Secret Towers of the Himalayas” was held in the Beijing French cultural center. From September 20-30, the little known ancient Tibetan Qiang towers will be unveiled in Beijing. Frederique is a French woman and the sponsor of this exhibition. Having first seen the ancient towers in 1997, she has done 13 field researches, and recorded 150 towers. From 2000 to 2005, she has taken 60 wood samples from 47 ancient towers, 4 local houses and 1 temple. The ancient towers exhibited at this time are mainly star-shaped or square, and are still standing in four areas of the tribal corridor of Southwest China. Three of these areas are the Ganzi, Aba and Liangshan regions of Sichuan Province, and the other one is in the Gongbu region of Southwestern Tibet. High in the mountains of the Qinghai--Tibet Plateau, a land of breathtaking and spectacular beauty, some freestanding stone towers rise over the remote valleys. Though generations of indigenous people have lived in the shadows of the towers for more than a 1,000 years, their origins are unknown. 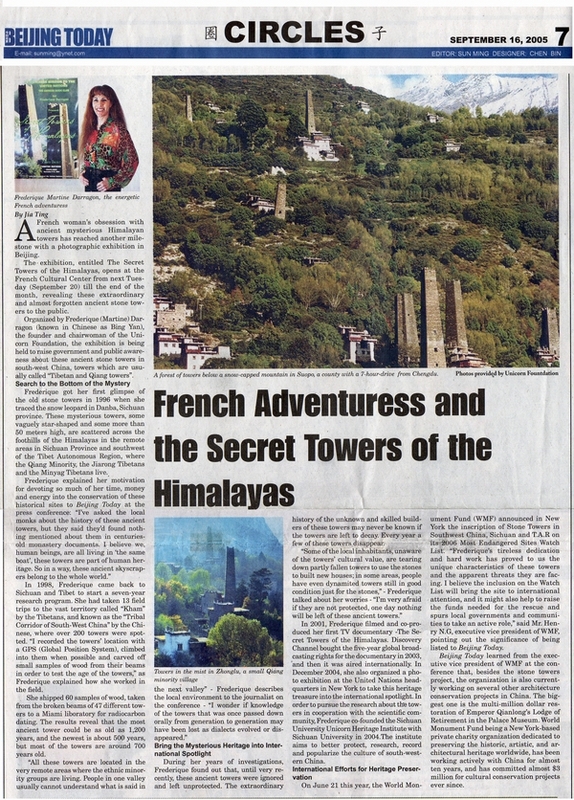 However, now that Frederique Darragon's documentary “Secret Towers of the Himalayas” is shown on the Discovery Channel, the whole world is amazed. Who built these towers, why and when? Calling herself a free spirit, Darragon (“Bing Yan”, “Ice-blaze” in Chinese) is enthralled by these astonishing structures and loves to share their magic with you. Through our chat with her, you will find her views about this unique Chinese Human heritage. Originally from Paris, Ms. Darragon has a bachelor degree in International Economy. She is a successful sportswoman, an artist and the founder of an organization that supports education in rural China. Over eight years, she journeyed thirteen times in western China, where she saw nearly 200 of the towers in Sichuan and Tibet. “I recorded their location with a GPS, climbed into them when possible and carved off samples of wood from their beams. I also talked with local monks who said they'd found no mention of these towers in centuries-old monastery documents.” Still, she did find a few references about the towers in the Chinese Annals and, back in European libraries, in the diaries of some 19th-century Western travelers. 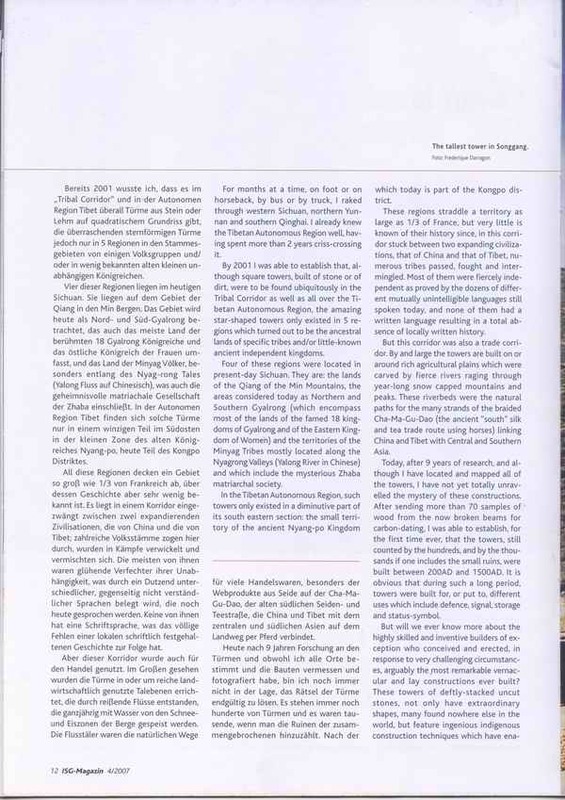 When the reporter asked her how she felt about the stone towers when she first saw them, Ms. Darragon smiled warmly and explained: “When I first saw them, in Danba, Sichuan, it was raining and consequently they did not catch my attention. Later on, in 1998, I realized the vastness of the territory where these amazing constructions could be found and I got interested”. And as Ms. Darragon started researching the towers, she made several surprising discoveries. By carbon-dating the wood samples, she confirmed that the structures are 500 to 1,200 years old. She learned that the towers―some of which are as tall as modern 15-storey buildings and contain very little mortar―were able to withstand centuries of violent earthquakes because of their specific masonry technique and because of their shape that resembles a star. These techniques are still used in contemporary houses. Though it's certainly conceivable that these structures have survived for reasons other than their supposed earthquake resistance. Local ignorance of the towers' original purpose may trace to the area's history and geography. A millennium ago, the place was dominated by mountain tribes that, over the centuries, have maintained their isolation; "People in one valley often cannot understand the languages used in the next valley. Apart from literary Tibetan, which was used in monasteries, none of these languages or dialects had a written form, consequently nothing was locally recorded says Darragon, who can speak some Mandarin Chinese and some Tibetan. She wonders if knowledge of the towers that was once passed down orally may have been lost as dialects evolved or disappeared. “I often traveled from villages to villages by bus; it gave me chances to contact locals and knew more about the towers.” Ms. Darragon was especially intrigued by the more than 40 roughly star-shaped towers she encountered. Some have 5, 6, 8, 10, 12 or even 13 outward-pointing corners. Star-shaped towers are rare, scholars say. Outside china they can only be found in the eight-pointed kind, and only in parts of Iran, Tajikistan and Afghanistan (including the 2 famous minarets in Ghazni). And so the towers might still be able to be standing 1,000 years from now with Ms. Darragon and everybody's help. (By Heqian) Yesterday (26), “The towers” of Sichuan and Tibet displayed their beauty in the photo exhibit “The Star-shaped Stone Towers of the Ancient Tribe of South-West China ”. This exhibit, shown for the first time in China , is an event part of The Year of France in China and consists of than 60 photos portraying the towers standing in the Aba and Ganze districts of Sichuan Province as well as in Tibet . About 30 photos were taken by the French artist Ms. Bingyan (Frederique Darragon). She is a an economist by training, an oil painter, has worked on wild life protection, can speak many languages and has also spent long periods of time in rural China and Tibet often in very rough conditions. She has recorded these extraordinary towers, and has already held a photo exhibit about these Chinese towers at the United Nations in 2004. The current photo exhibit will be shown to the Chengdu citizen for 2 months. (By Lanjun) Yesterday (24), the French explorer Ms. Bingyan（Frederique Darragon）, the Sichuan provincial Culture Department, the Sichuan University and the Alliance Francaise hold the photo exhibition about the towers together in Sichuan University . During the opening speeches, it was announced that, 3 days ago, the World Monuments Fund have put these towers of west-south of China in the WMF Watch List of 100 most endangered sites in 2006, and will appropriate special funds to protect those towers. More than 60 photos mainly taken by Bingyan, and by the Japanese photographer Kenzo Okawa in Danba, were displayed. These towers have attracted the world's attention because of their unique building style and long history. 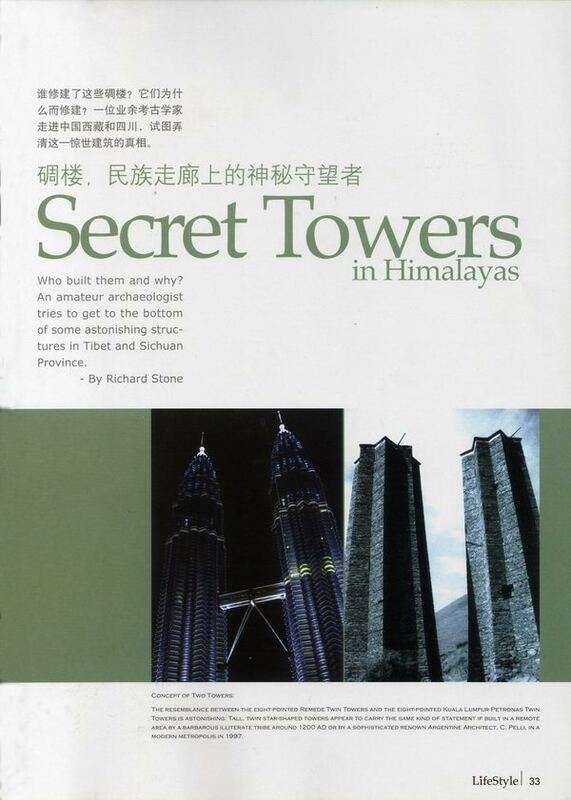 Ms. Bingyan has investigated the tower many times in Sichuan after she first got interested in these Chinese towers in 1998. To raise awareness about the towers, she filmed a documentary, “The Secret Towers of the Himalayas” , which rights, for 5 years to broadcast all over the world except China , were purchased by the Discovery Channel about $ 100,000.00. Ms. Bingyan has sent this documentary and a lot of pictures about those towers to UNESCO. (By Wuyijie) Yesterday afternoon, the photo exhibition “The Star-Shape Stone Towers Of Ancient Tribe Of West-South China” opened in Sichuan University Museum . For the first time more than 60 photos representing towers in Sichuan and Tibet were exhibited in China . Ms. Frederique Darragon, who organized the exhibition, announced that the World Monuments Fund, on June 21, 2005 had inscribed of the stone towers on the 2006 WMF Watch list. Most of the photos were taken by Ms. Frederique, and others by the Japanese photographer Kenzo Okawa as well as by many Sichuan photographers. (By Shenghong) Yesterday, the photo exhibition “The Star-Shape Stone Towers Of Ancient Tribe Of West-South China” was opened in Sichuan University Museum . About 60 photos taken by the French explorer and Founder of the Unicorn Foundation Ms. Frederique Darragon (“Bingyan”), by the Japanese photographer Kenzo Okawa and by other, mainly Sichuanese, photographers are exhibited. These stone towers, usually called “Diaolou”, are mainly distributed in the Ganzi and Aba district of Sichuan and in Tibet . This exhibit focuses on the star-shape and square stone towers that are found in the villages and mountains of only four specific regions. 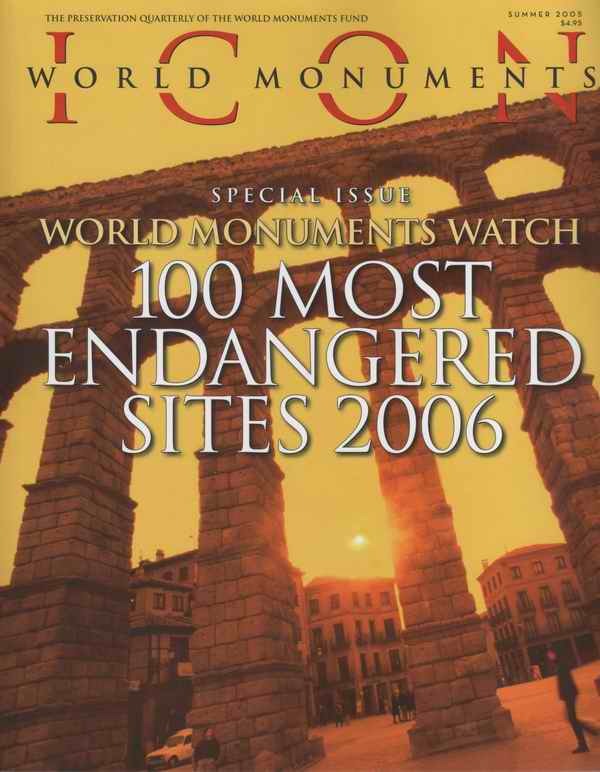 It is said that the World Monuments Fund has put the stone towers into 2006 WMF Watch list of 100 most endangered sites in the world, and will give money to protect those towers. Reception Hosted by Ambassador Wang Guangya and His Wife for Photographic Exhibition of "Towers of Himalayas"
Ambassador Wang addressed to the guests. 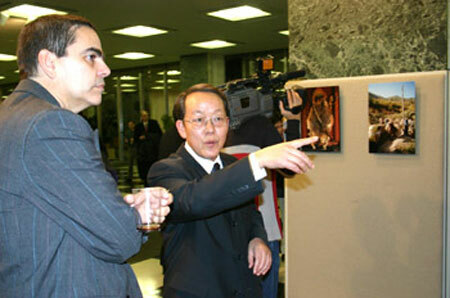 Ambassador Wang and guests watched the exhibits together. 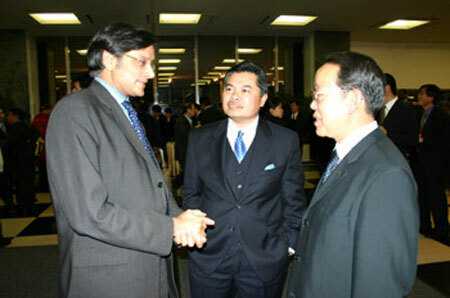 Ambassador Wang met with UN Under-Secretary-General Mr. Tharoor (left) at the exhibition. Photographic exhibition of "Chinese Historical Relics - Towers of Himalayas" has been inaugurated at the United Nations and it will be open from December 6 to 17. 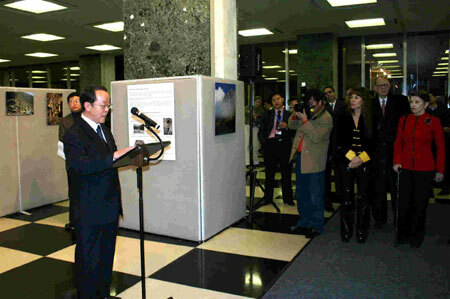 On December 7, Ambassador Wang Guangya, Permanent Representative of China to the United Nations, and his wife hosted a reception in honor of the exhibition. Permanent Representatives of many countries were present at the reception, including those from Germany, Russia, Japan, Bangladesh, Algeria, Brunei and Viet Nam. More than 100 other guests were also at the reception, including U.N. Under-Secretary-General Mr. Tharoor, Chinese U.N. employees, and friends from the American cultural, commercial and other circles. Ambassador Wang and French Photographer Ms. Frederique Darragon delivered speeches respectively at the reception. The exhibition was co-sponsored by the U.N. Book Club and Ms. Frederique Darragon. The exhibition shows works of ancient towers taken in Sichuan Province by Ms. Darragon and other photographers including Lu Hailin, Lan Yong, Sun Lei, Han Yuanhua and Kenzo Okawa. The Chinese Tibetan and Qiang Towers photo exhibition, which was held by French female explorer Frederique Darragon, drew its curtain in the entrance corridor of the headquarters of U. N. in New York yesterday. There were 47 photos of ancient Tibetan and Qiang towers in Aba and Ganzi, among which five were from Sichuan photographers. Photos collected by Chengdu Commercial Daily will be included in a book on tower photos. They were taken by Yang Qiang, Liu Dachuan, Yi Tao, Chang De, Zhao Jiping, Wang Kaiyou, Sun Jian, Chen Qingqing. Frederique said the profits of the book would be contributed to the protection of Sichuan and Tibetan towers. 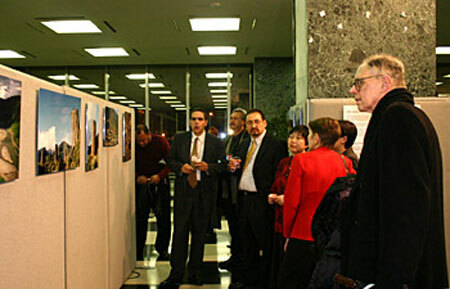 From December 6th to December 12th, China Tibetan and Qiang Towers photo exhibition was held in U. N. in New York. Chinese permanent ambassador to U. N. Wang Guangya and his wife and many other ambassadors presented the opening ceremony. Thirty-six photos taken from 1992 to 1998 in Sichuan and Tibet by Frederique were shown in the exhibition. Photos by five Sichuan photographers were also shown in it, namely Lu hailin, Lan Yong, Wang Sibo, Han Yuanhua, Sun Lei. The exhibition presents Sichuan and Tibetan towers to the whole world. It is said that in the following six months, the photo exhibition will go to Paris, Beijing, Chengdu and Hong Kong. The relevant departments of Sichuan Province and the government of Danba County which owns a large number of towers are making every effort to apply for World Heritage. She achieves one enterprise per decade and Discovery Channel called her a Renaissance woman”. She is praised as an excellent athlete, a tiptop explorer, a highly skilled photographer, a talented painter and gracious dancer…Her legend is not over yet. In this decade, the legend is in Sichuan: to help the ancient stone towers of the tribal corridor of western China being inscribed on the UNESCO World Heritage list. What is a colorful life? What is a colorful and meaningful life? What is an unimaginable, worthy and colorful life? A French 55 year-old female explorer is living such an off-the-beaten-path life that is also meaningful and colorful. She achieves one enterprise per decade. In the 1970s', she competed with success against professional sailors as she steered her own “Soling” in triangular regattas. She also crewed on the yacht “Ralph” across the Atlantic Ocean during the first “Cap-Town to Rio race”. In the 1980s', she gave up sailboat racing and took up horse polo and horseracing, pursuing, as always, her goals with decisiveness and passion. She was the first woman to win a “25 goals” polo game, and the first woman to win a polo tournament on the most renown polo ground in the world: la Cancha “Victoria” in Buenos Aires, Argentina. Both records were not broken for 15 years. She also won 8 races as a jockey. “La Nacion”, the Argentinean most preeminent news paper, ranked her as one of the 5 most important female figures of the year 1982. She also was named a “Samba champion” by the well known “Machette”. A magazine from Brazil, the country where dancing the Samba is the main occupation during the annual famed and week long “Carnival”, to which Frederique frequently took part. Time flew into the 1990s', and she became interested in oil painting, protection of the environment and Asia. Once she starts a new project, she would surely turn it into a feat. And the oil paintings she painted between her trips were highly praised. 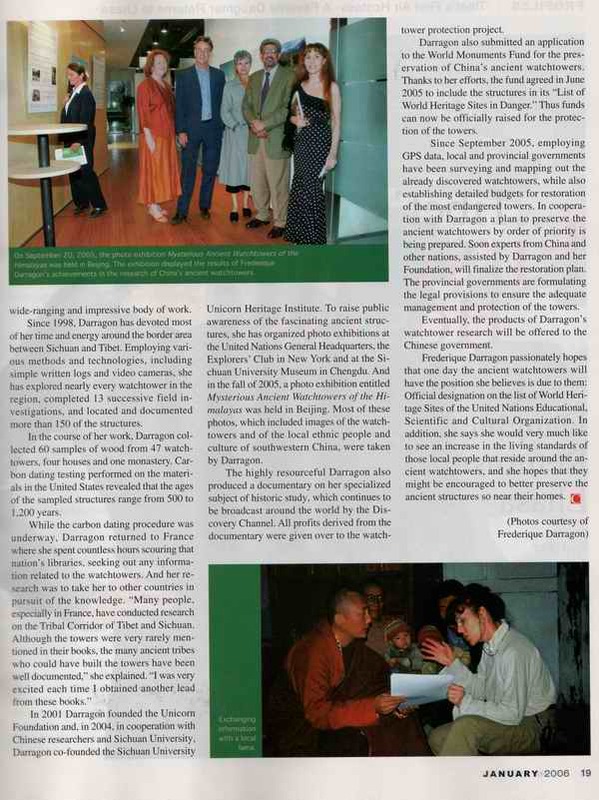 In September 2004, she returned to Chengdu and called on all the photographers in Sichuan to “Send Your Towers to UN”. This is Frederique Darragon, a French woman, swift as the wind. From December 6th to December 17th, during her exhibition of 45 photos, in the hallway of the United Nations in New York, Frederique will put, for the second time, the ancient stone towers gracing the mountains of Aba, Ganzi and Kongpo districts, on the world stage. This first time she had done so was when she filmed a documentary, the first she ever filmed, “the Secret Towers of the Himalayas”, and got it broadcasted all around the world by selling it to the American Discovery Channel for $300,000. This was already part of her plan of protecting the ancient mysterious stone towers by trying to get them nominated as a World Heritage site. “I first saw the towers eight years ago, and it was raining heavily.” Despite his poor English, the journalist could feel that her tone contained deep emotion as Frederique was recalling how she got interested in the towers. “Really, nothing is known about them ?” she asked Michael Peissel. But the famous explorer, who has left innumerable records form all over the world, more specifically about the ancient constructions and cultures of different ethnic minorities, was definitive. He told Frederique that he was sure no one had a clue on about when or why these towers had been built and no one had ever specifically researched them. “When and why were they built? Who built them and for what reason? Where are the remnant towers? How many are there?” From then on, all these questions have been spiraling in Frederique's mind. It took years before Frederique decided to dedicated most of her time exploring these issues. She is also very busy with the Unicorn Foundation, which she created and chairs. To study these ancient towers, Frederique went to Tibet and Sichuan Province many times since 1998. She went around to visit residents, monks, travelers and experts, but still without any definite answers. During her investigation, she found that, although quite a few books mention the towers, they only contain a simple description of the towers from one single area, sometimes recalling some doubtful legend. She could not find any book containing specific, scientific information, she could not even find a book listing all the different areas where such towers were found. As she spent more time in libraries, more questions were raised about the towers and the history of the people who built them. Some experts say that the earliest report (about square towers only), is in the Late Han Annals. But few details are given and cannot really lead to a specific location. Some experts claimed, rightly so, that there are some indications in Sui Annals and New Tang Annals. But here again, these texts only report travelers heard say and lack precise descriptions. Frederique decided to get put of books for a while and looked for some real evidence. For Frederique, the Double-Proof method (comparison between historical data and excavation) once advocated by Mr. Wang Guowei, did not appear to be working at that stage of the research. The Carbon 14 dating is a useful tool in archaeology, more specifically for dating materials. But this technology costs were high in the late 90'. At the beginning, Frederique hesitated, but she decided that it was impossible to study the towers without knowing when they were built so she has, until now spent about fifteen thousand dollars on this technique. She sent 41 samples of wood, taken from the now broken beams of 32 different ancient towers from the Jiarong, Minyak and Kongpo areas, to the famous Beta Analytic laboratory in Miami, United States. The results reveal that the most ancient tower could be as old as 1,200 years, and the newest is about 500 years, but most of the towers are around 700 years old. This result almost overthrew many experts' previous beliefs. However, many secrets are still hidden between the towers ancient stones. For example, about the function of these towers; some professors think they were built for defense, but Frederique will answer that most of the towers cannot have been used primarily for defense since their openings are way to too small for an archer to aim and to shoot an arrow though them. Other scholars have suggested that the towers were a kind of religious building. But so far no one has seen these towers being mentioned in religious books. Many have written that they were built by local leaders to show off their status, just like rich people now want to live in mansions on the beach, drive Bentleys or sponsor F1 races. This is one of the theory that is supported by written evidence and to which Frederique adheres, she also believes that, since many of these towers are located along 3 of the ancient “Silk, Salt and Tea horse roads”, they could have been used to store these expansive merchandises.…Frederique is now calling on archaeologists, thinking that excavations inside the towers will help reveal the secrets of these amazing constructions. The extraordinary history of the unknown and skilled builders of these towers will never be known if the towers are left to decay. Frederique believes that the best way to protect the towers is to make the world, and the local people, know and take conscience of their historical value. During her years of investigations, Frederique found out that, until very recently, these ancient towers were ignored and left unprotected. Frederique herself was hurt as a tower partly collapsed. That happened as she was, during a heavy rain, collecting samples. Part of the inside wall crumbled and a stone hit her, cutting her deeply on the fore-head. Several days later, the whole tower collapsed. 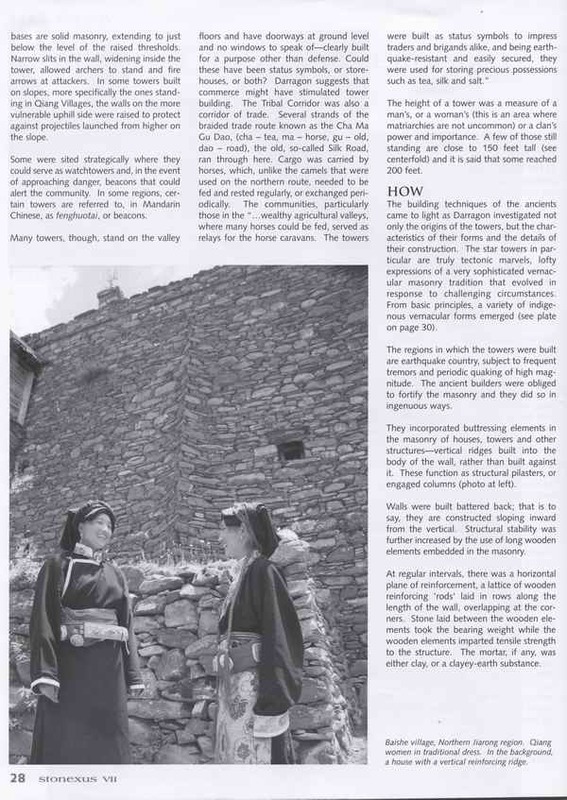 “Some of the local inhabitants, unaware of the towers cultural value, are tearing down partly fallen towers to use their stones to built new houses”. In some areas, people have even dynamited towers still in good condition. Frederique work is progressing fast. Discovery bought and broadcast her documentary last year. 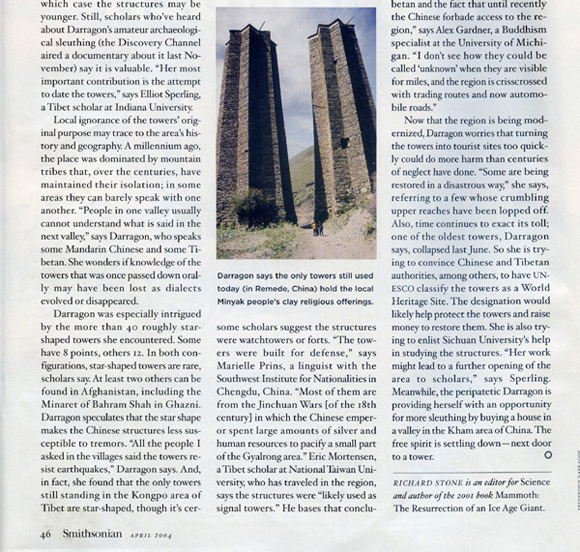 After she provided them with material, world-class magazines such as “Smithsonian”, “Science” and “Newsweek” published reports about the ancient towers of the tribal corridor of South-west China. In August this year, she co-established the Sichuan University Unicorn Heritage Institute. In December this year, she will hold a photograph exhibition of the ancient towers at the headquarters of U. N. in New York. “The most perfect nomination plan” in Frederique's mind is to propose, as a natural and serial cultural nomination, the towers and Siguniang Mountain together. In her proposition, she calls it “Protected Region of the Ancient Towers of the Tribal Corridor of South-west China and Siguniang Mountain”. According to Frederique, although both, Siguniang Mountain and the ancient towers, justify being nominated on their own, it is more efficient to connect them. Firstly because Siguniang Mountain is located between the Qiang towers and the towers from Minyak, Jiarong, and Gongpo; secondly because many of the animals living in Siguniang Mountain, such as snow leopards, cloud leopards, lesser panda, wild cats, all kinds of deer and wild goats, also live in the forests surrounding the towers . A successful plan of management will ease pressure on these wild animals, many of which are endangered. This plan originated from the World Heritage Center itself. In this case, one plus one is likely to be more than two. There are Tibetan and Qiang towers in abundance scattered in Ganzi and Aba Autonomous Regions in Sichuan Province. 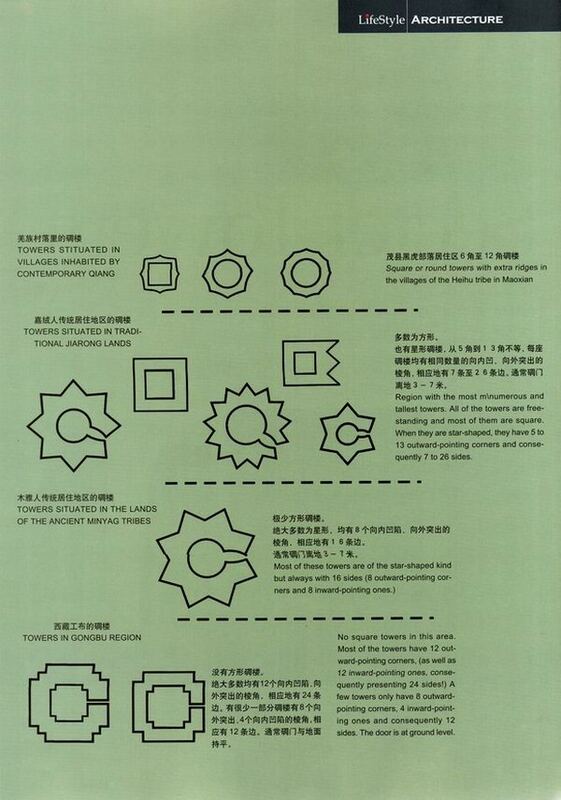 Tibetan and Qiang towers can be divided into two categories according to their major materials. They are stone towers deposited by rocks and clay towers deposited by clay. The heights of these towers are generally over twenty meters. The highest are about fifty meters which are very grand. Besides square towers, there are triangle, five-angle, eight-angle, twelve-angle, and even thirteen-angle towers. At the hillside of Yuezha in Danba County, a stone tower stands on a cliff. Without any derrick or even a backstop, the ancient people built the five-meter-long, five-meter-wide and forty-meter-high big construction. That's really out of our imagination. In Pujiaoding Village, Sichuan Province, there are less than two hundred families, while more than forty towers locate there. The French female explorer is now launching invitation for photographers to participate in Ancient Towers Exhibition. Danba leaders hope the exhibition will be helpful for Sichuan towers to be enlisted in World Heritage. The purpose of this non-profit exhibition is to raise awareness about the history and the cultures of the Tribal Corridor of Western China and to get western Foundations interested in participating in protection and restoration work. The exhibition will then travel to Paris. A 100-page photo-book will also be published and sold for the Foundation benefit. Altogether, 40 photos will be chosen from local artists, 15 photos for the photo exhibition and another 25 photos for the book. The artists will retain the property of their photos, will not participate to any cost but will receive no fee. Photos have to be submitted in a 15 X 21cm format by September 15th with the artist address and phone number. The artists will be informed on September 16th which of their photo is selected. The mystery of towers will be the focus of the world's attention! The well-known French female explorer and photographer Frederique Darragon has come back to Sichuan. Yesterday in Chengdu, she launched the invitation for Sichuan photographers to participate in the Ancient Towers Exhibition in U.N. 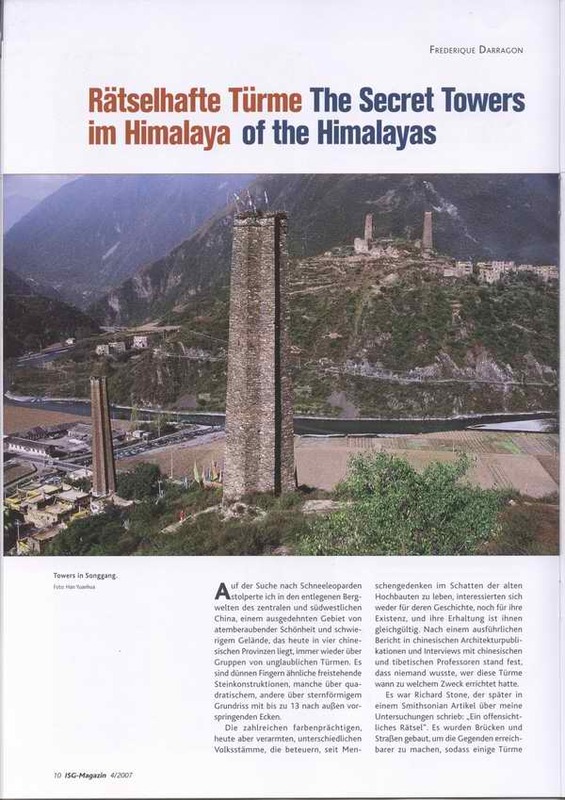 It is reported that an exhibition of 45 photos introducing the Qiang and Tibetan ancient towers of the Aba and Ganzi Autonomous Regions will be held from December 6th to December 17th 2004 in New York, in the Entrance Hall of the United Nation Building. 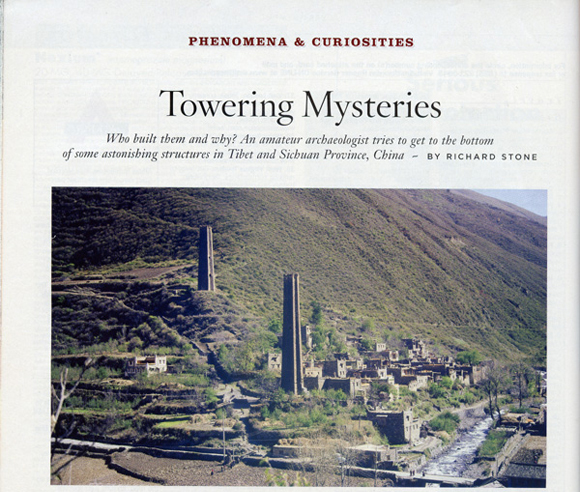 Early in 1992, Frederique came across tower groups in Sichuan and was marveled at them. In 1998, she came back to Sichuan and Tibet and then started her six-year research, which begot her documentary Secret Towers of Himalayas. The documentary was bought by Discovery at a price of hundreds of thousands of dollars for five-year broadcasting right. 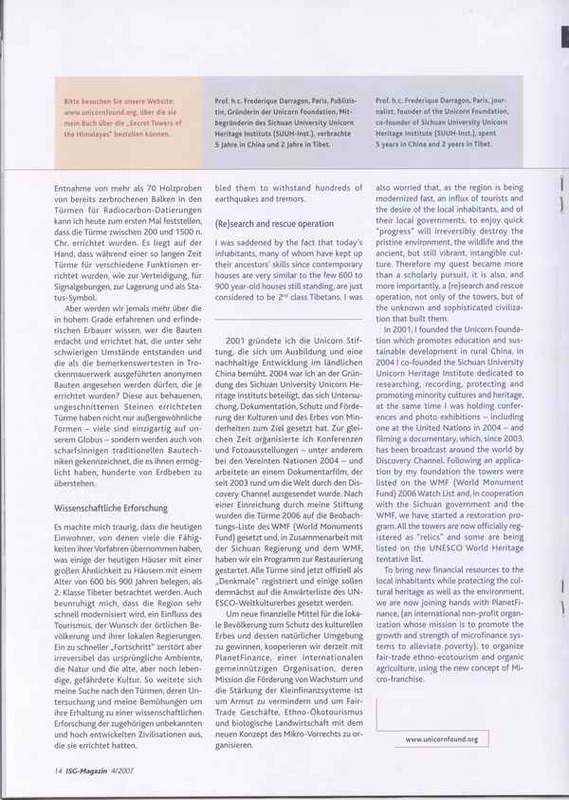 Henceforth, Frederique showed UNESCO with the documentary and some other photos and materials, the World Heritage experts appreciated her work very much and believed that the towers are the potential World Cultural and Natural Heritage. It is also reported that the relating governmental departments of Sichuan Province and Danba County are making every effort to apply for the World Heritage. Zhe Li, the vice mayor of Danba County, expressed that the exhibition is hope to let the world know the peculiar culture of Tibetan and Qiang areas and be successfully enlisted on World Heritage. “My photos may not surely include all the beautiful sceneries of the towers, so I hope more Sichuan photographers can take part in it.” Frederique said. No matter experts or not, you will certainly make it if your photos are good enough. "Protect the Groundwork of Our Nation"
The “Asian Ethnic Architecture Protection and Development Workshop”, co-held by Chinese Ethnic Architecture Association and all China Industry and Commerce Association Housing Industry Chamber, was held from August 2nd to August 8th in Chengdu and Ganzi Autonomous Region, SichuanProvince. The workshop was highly valued and supported by the related national departments. Leaders from National Civil Affairs Committee, National Construction Department, National Civil Policy Department, Sichuan Civil Affairs Committee and Ganzi Autonomous Region presented the workshop and made important speeches. Presented were also Mr. Jimmy Limo, the former chairman of Malaysia Architecture Institute, Mr. John Edward, vice chairman of Britain House Protection Association, Mr. Lin Xiangxiong, president of Singapore Creation International Group, Korean university delegation, and Ms. Frederique Darragon, who has introduced the ancient towers of Ganzi Autonomous Region to the world. There were approximately 150 delegates and more than 50 academic papers for the workshop; about 20 delegates made splendid academic speeches in the workshop. Academic discussions and communications were organized at different time and different places. 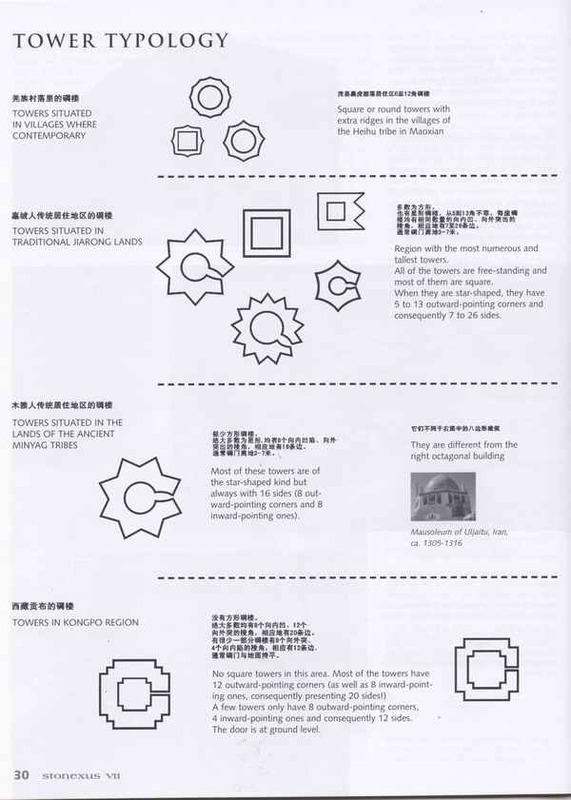 The forms were various: showing of historical material of ethnic architecture, displaying of pictures, as well as generalized description and detailed case study. The workshop proved to be a grand meeting for the mingling of ethnic architecture culture home and abroad. Questions were put forward at the workshop, such as how to protect and ethnic architecture, how to make innovations, which enjoyed high praise. During the workshop, the most unforgettable thing was visit to Tibetan monasteries and Tibetan architectures in KangdingCounty, Ganzi Autonomous Region. Delegates saw about Tibetan villages, Suopo towers, natural protection area Mugecuo in Danba and Hailuogou modern glaciers. All the delegates were filled with admiration subdue by them. The more ethnic it is, the more international it is. Delegates home and abroad could draw nutrition and literature and history knowledge from ethnic architecture and local culture in Zanzi. The workshop reached its due purpose by discussing Asian ethnic architecture protection and raise awareness of Chinese architecture research and protection ability on the international level. To inherit what is left in history is to make contribution for today and tomorrow. History is the basis of every nation, and protection is the premise of research. As a foreign scholar said at the workshop, today is the future of yesterday, and yesterday of tomorrow. We'll definitely be the past as well as the future. History records the footprints of human beings, and architecture is the footstone of human development. This 54-year-old French woman mastered six languages. She introduced the towers to the UNESCO World Heritage Center. Her documentary, introducing the towers of Sichuan Province and Tibet, and result of years of research, was bought by the famous channel Discovery and was shown for the first time in the United States on November 20th 2003. 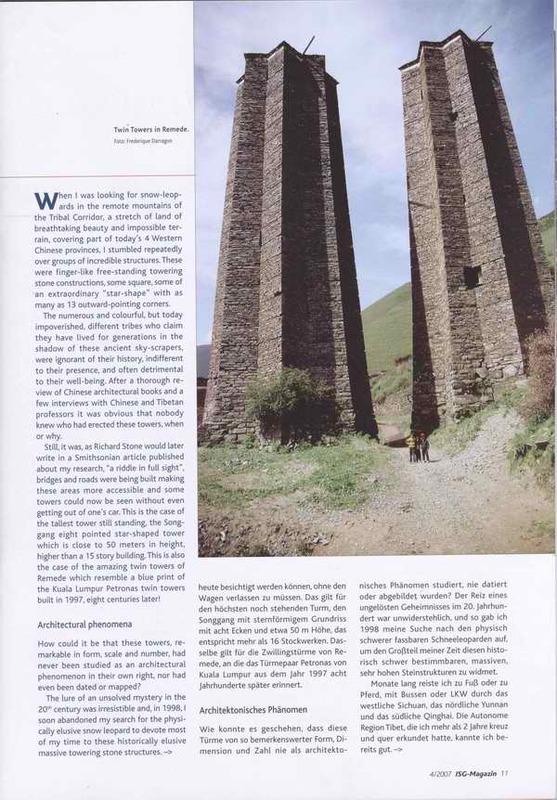 Frederique got interested in towers in 1996 when she came across them in Sichuan. She was startled at their marvel. After she returned to her homeland, she found out in libraries that there was no record about these Chinese towers. Therefore, in 1998, Frederique came back to Sichuan and Tibet to start, together with some other experts, a seven years research. She sent some sample of wood, from the towers now broken beams, to the United States. She then discovered that these towers were built approximately 1,000 to 600 years ago. But until the Ming Dynasty was there a little record about these towers. Frederique was decided to unravel this mystery. In 2001, Frederique traveled between Sichuan and Tibet to film her documentary, “the Secret Towers of Himalayas”. In December 2002, Frederique offered her documentary to Discovery, who bought its world wide broadcasting right for five years at the price of $300,000. 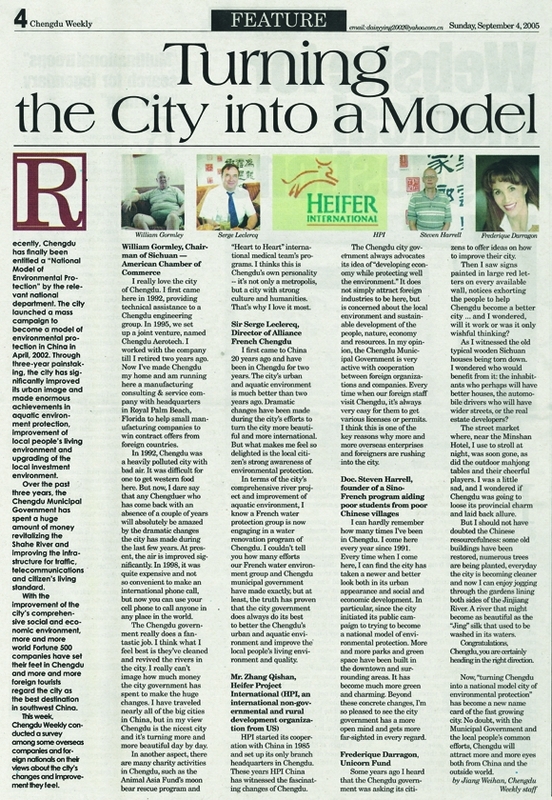 In November 2003, the documentary aired for the first time in the United States. 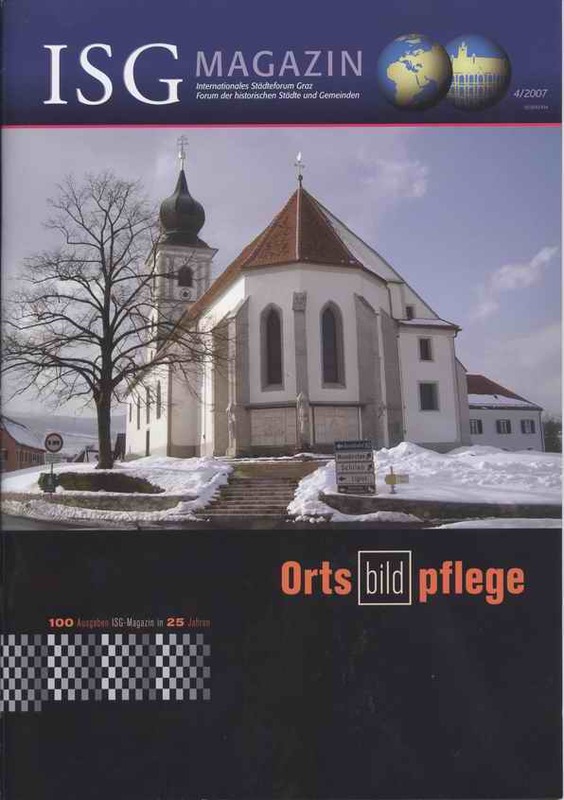 June 2003, she had provided the UNESCO with this documentary, photos and some other materials. The World Heritage Center then issued a letter of introduction for her, suggesting that the related departments of Sichuan would apply for enlisting of towers, together with Siguniang Mountain, as a mix Cultural and Natural World Heritage site. “Look at here! These are ancient towers, which are marvelous.” At the World Heritage Conference, the blond French beauty Frederique Darragon recommended Danba towers to whomever she met. As the chairperson of U.S. Unicorn Foundation, Frederique attached peculiar affection to the towers of the tribal corridor of south west China. 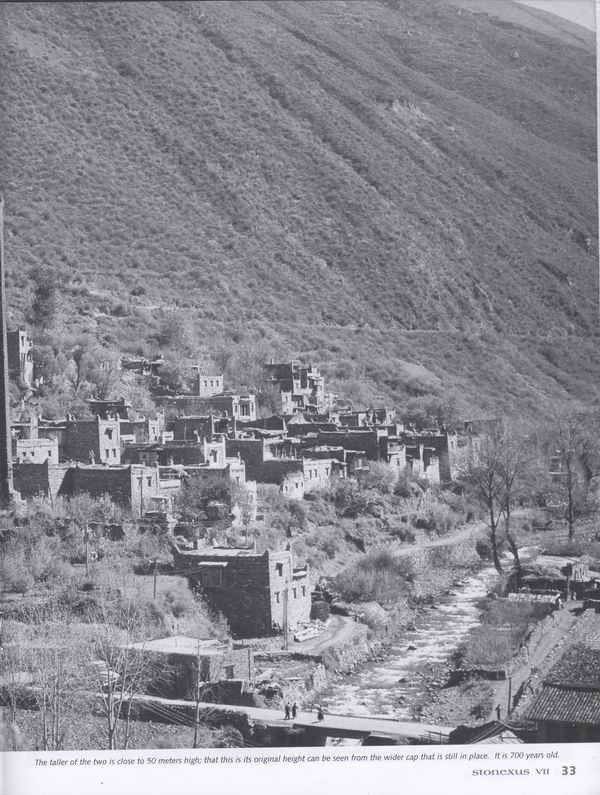 In 1996, as Darragon went to Tibet via Danba, she caught a sight of the Tibetan and Qiang towers in the rain from distance, and was firmly attracted by these buildings. After that, she began to work for the towers, calling for the towers inscription on the UNESCO World Heritage list . 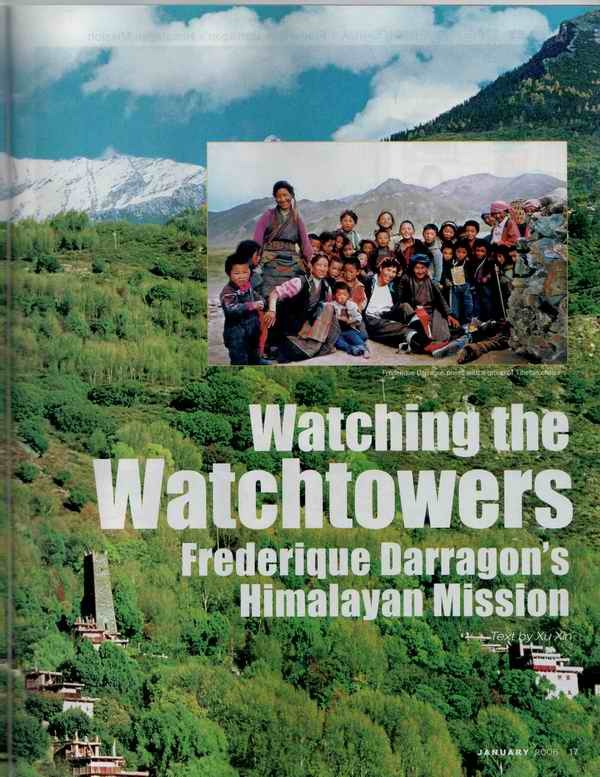 To make the towers better known, Frederique Darragon sold her documentary about the towers to the famous “Discovery Channel”. In these days, Darragon brought her photos and materials about the towers, as a volunteer. She told the participants that Tibetan and Qiang towers are of peculiar characteristics. Meanwhile, she reminded the Danba leaders that it was imperative to keep the “integrity” and “authenticity” of the towers to be able to apply for the UNESCO World Heritage Nomination. She also suggested they should not build new towers and try to maintain the existing towers in their original condition. Fourteen British high school students came to Danba County, Sichuan Province, to help local underprivileged minority school children and publicize the importance of environment protection. They, together with three Chinese volunteer students from Chengdu, finished 6 mural paintings yesterday in the Primary School of Pujiaoding, Danba County. This project was organized by the Unicorn Foundation, a non-profit organization created by Frederique Darragon to facilitate access to education to poor children of remote areas of rural China. Frederique also filmed and produced a documentary “The Secret Towers of the Himalayas” that was bought by the famous Discovery Channel, aired last November, and introduced the Towers from Danba, and from other areas of South west China, to the world. Frederique is also helping to prepare the papers needed for the inscription of these extraordinary towers on the UNESCO World Heritage list. Not long ago, 14 British high school students learnt about these towers from the website of the Unicorn Foundation and wanted to have a look at them. They also found out that many parents have a hard time paying for their children' s education. So the 14 students decided to collect money and turn the summer holiday travel into a volunteer activity aiming at helping minority school children and publicizing environment protection. Yesterday, the reporters met the 17 students in the primary school in Pujiaoding. After paying for the paint and the sport equipment that they distributed to the children, the English Teen-agers still had 19.000 Yuan left ( about 2000 dollars) from the money they had collected (That didn't include their own traveling expenses, all paid by themselves or their parents.). After consulting with the school head master, they decided to allocate the money in the following way: 13.000 Yuan for the tuition of the poorest 65 students for the year 2004-2005, 2000 Yuan to install tubes to supply water to the school and 4000 to pay for half of the tuition of the 40 poorest students for the year 2005-2006. The British students told us that they thought the towers were extraordinary and definitely a precious heritage of human kind. They also said they would try to help to publicize the towers value as a World Heritage site. I met Frederique Darragon, a french lady, at her hotel. She showed my all the photos of the towers she took, and asked me about the history of the towers in not very good Chinese. Frederique hadn't studied Chinese, and during her two years' travel in China she had learned a lot. Today, Frederique had an important task, that was to visit thirteen-angle towers in Pogudin which was far away from her hotel. What's more, no cars could reach there. We had to climb up to the top of the mountain. We set out immediately with a driver Xiao Xu and an interpreter Xiao Luo. All along the way, she showed us photos she took about wild animals such as wild yak, Tibetan antelope, wild boar, deer in Qinghai and Tibetan Altiplano, Xinjiang, Yunnan, and the Everest, the Potala Palace, the Heaven Mountain, as well as group photo with her in ethnic minorities' clothes. Frederique told me that she had been to many places around the world, and in the past two years she traveled a lot in China. Now she was keen on Tibetan towers here in Tamba, Sichuan. We arrived at Songda, from where the mountain path was rather rough and rugged. But Fredesrique paid no attention to it but concentrated on her work of taking photos. Finally the jeep stopped at Daping Lama Temple and we started walking. Soon we caught sight of thirteen-angle towers in the distance hiding in spruces. Frederique asked a local middle-aged woman to lead us the say. The path was particularly steep and slippery. Thanks to the fine weather, it was not very hard climbing. On the way, Xiao Xu, who had been the driver for Frederique for some time, told us that Frederique never mind hardship. She lived a rather simple life, only had vegetables for meals. She was a workaholic. She would sit on ground or even lie down if necessary when she took photos, no matter how dirty or how dangerous. Finally we came to the destination. The upper part of the Thirteen-Angle Tower manifested themselves before us through the trees. We cheerfully cried out and rushed there with XiaoXu and Ms. Luo left behind. Actually, I had hurried up earlier. As I saw a large lump of cloud was floating towards the top of the hill where the towers reside. I was afraid the cloud would get bigger and cast undesirable shadow on the towers, which might result in bad effect of pictures. It's would be a pity if we failed to take a picture of it after climbing such a high mountain. Not to mention that's the Thirteen-Angle Tower I longed for decades. So before that, I outpaced XiaoXu and Ms Luo silently without their notice. That's a broad meadow (meadow land) where the Thirteen-Angle is located at the center. This is truly a beautiful place which I already longed for a long time. (When I was a child I had ever been to the Pogodin village. At that time, the way I walked along was a narrow trail on the steeps. It's such a precipitous trail that one man can prevent thousands of others going through. I was amazed by the jungle of towers when I climbed up and caught sight of them. They were not damaged then since the Culture-Revolution Movement had not started yet. The towers in the village densely scatted around like a tower jungle and gave me spectacular feeling. For ages I am intrigued in writing towers, all due to the influences coming from the place like there. This is a fairyland where it's said a king once lived in. The Thirteen-Angle Towers was his palace. I ever heard of a legendary story about why those towers were built. It's said it was designed by a beautiful girl. The king wanted a palace which features thirteen angles and but no one knew how it looked like. A beautiful girl stepped into the village with woolly clothes and claimed she was able to work out the blueprint of the desired Thirteen-Angle Tower. She cut a HAOZHI withe(cane) and formed thirteen angle shape on the ground. Then she wove through the HAOZHI using wool and got the resulting Thirteen-Angle shape. Afterwards, the tower was constructed according to the design given by the girl. The king fell in love with the girl and they got married when the Thirteen-Angle Towner finished. What's fantastic tale and what's beautiful place. Surrounded by mountains, beyond the ends of the meadow are the woods and forests. This was a land which was totally separated with the outer world at that time. I know those meadows were farmlands previously which could nurture thousands of people. No wonder the king chosen this place. With the advantage that the enemy can't enter into, this is truly an ideal place for a kingdom. Immediately besides the uppers and lowers of the Thirteen-Angle Towers comes a skyscraping Square Tower respectively. Looked like guards, they are actually very impressive. In contrast, they just play a supplement role because of the magnificence of Thirteen-Angle Tower. Under the high towers, there is another square tower, which is small and mean. From the bullet holes on it, we can conclude it's clearly a “product” of old ages (before liberation). Compared to the ancient great tower, they like residue, so to speak. I took pictures hastily from some viewpoint I chosen because I the sun light on the towers would disappear soon due to the floating cloud coming in the way. “Hello, hello”, I loudly called at the foreigner and she responded at the other side of Towers. Then we met together and had a HEYING together with the guide in the front of the Thirteen-Angle Tower”. It's close to 4 PM when the foreigner finished her work. We were ready to go down the hill. At that moment, I felt like I couldn't leave there since I had not sufficiently looked at the things around me and fully enjoyed the beauty I was faced with. That's a steep slope and it's harder going down than climbing up. Xiao Xu and I could feel the trembling of our knees. In contrast, the foreigner run swiftly and shot pictures with her camcorder everywhere she could reach. Along our path down the hill, the scenes of Tower and the natural landscape are all around. Therefore she constantly asked for a stop and got off the car to take pictures. A number of times of such request, she also felt sorry about that and said, “This will be the last time”. I asked her jokingly “Do you have your last time”. She chuckled and we all cheered. Each time when we encountered the hurdle which is used to constrain the cattle and sheep, she would rush to open the door. And every time only after carefully shut down the door did she go back to our car. I still remember the foreigner once caught sight of a piece of wrapping paper of chewing gum on the way down the hill from the Thirteen-Angle Tower. She picked it up and put into her pocket. She said that XiaoXu should not throw it away randomly. XiaoXu kept silent while Ms. Luo was surprisingly embarrassed with ashamed expression on her face. The reason is that piece of paper was left by Ms. Luo instead of XiaoXu. The foreigner told us her profession is oil painter. We asked where did her get so much money to travel around the world. She said all the funding for her travel comes from her father and she probably couldn't use up the money her father gave her, even travel in such way. Then we began “doing investigation“ and asked questions like how many children in her family. She answered she is the only child in her family. I jokingly said it's surprising that you parents practiced birth control program of China in your family and everybody burst into laugh. When we arrived in the hotel at nearly 7PM, it began drizzling. As soon as she got off the car, she ran to duplicate my papers. XiaoXu and I should have done that for her, be we are too exhausted to do it. I think the foreigner and I had pretty good luck, as it was a sunny day which was unusually seen those days. On the following day, when I typed in the title “Sightseeing of Tibetan Towers with A Foreigner” on the computer screen, the French woman had already left Tamba for ShaDe. She gave me two pictures of Tower which were taken in HeiHu, Mao county. One week later, the foreigner was back with a professor as her translator, that's another story which would follow up. "French Female Explorer and Sichuan Towers"
A documentary named The Secret Towers of the Himalayas, filmed by the world-known French female explorer Frederique Darragon, will have its first show on November 12th by the Discovery channel in the United States. Frederique, 54, who can speak 6 languages, produced the documentary after years of scientific study of the unique towers in Sichuan and Tibet. Besides her artistic contribution, she has also introduced the towers to UNESCO World Heritage Center, hoping to enlist it on the UNESCO World Heritage Sites. With this mission, she has left for Tamba, Sichuan for further research yesterday morning. 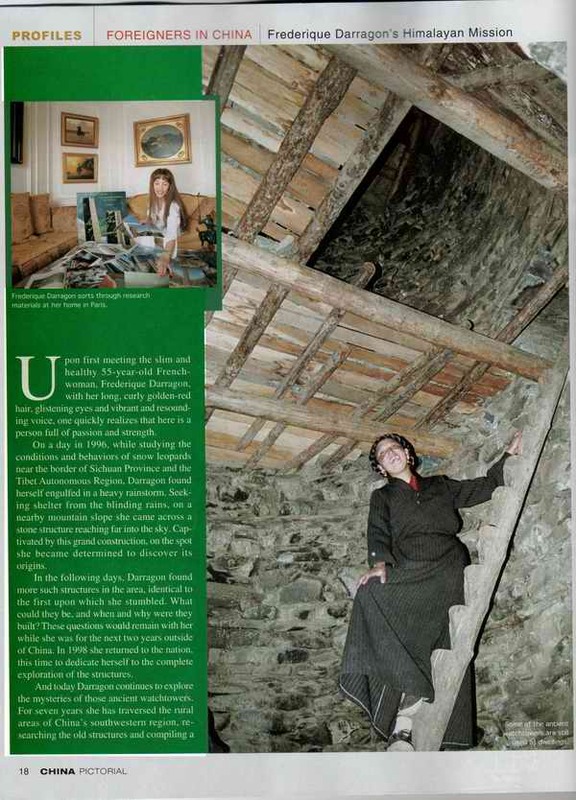 Frederique was irrevocably committed to the towers in 1992 when she came across them in Sichuan. She was deeply impressed by the amazing towers. After she went back home, Frederique found that there was no written information about them, and then she decided to start studying the towers. Since 1998, back in Sichuan and Tibet, Frederique began her 6-year scientific study of the towers. She took wood pieces from the towers to the United States and made Carbon 14 test. The report of radiocarbon dating analysis says these towers are 600 to 1,000 years old, which means they can date back to Ming Dynasty. Frederique was unvailing the secrets of the towers step by step. Since 2001, Frederique was busy with her study from Sichuan to Tibet. After two years hard work, the documentary named The Secret Towers of the Himalayas came into being. In April the documentary drew the attention of Discovery, and the Discovery channel bought its showing right for several hundreds of thousands of dollars, the second highest price offered by Discovery. In the first half of this year, Frederique introduced to UNESCO World Heritage Center the towers with photos and the documentary. UNESCO World Heritage Center was so interested in the project that it issued a recommendation letter to accelerate the enlisting of the towers, together with Si Gu Niang Mountain, Sichuan, to UNESCO World Heritage Sites. In 2002, Frederique, together with her Chinese partner, set up the Unicorn Foundation. She donated all of her share of the profits to the Foundation to improve the education situation in some remote areas inhabited by ethnic minority groups, granting aid fund and donating education equipments. "I was born in a well-off family with loving parents and everything I needed," she says. "Even though my father died when I was 4 years old, I was a privileged child... Since I'm very privileged, I try to give back to the world what the world has given me." 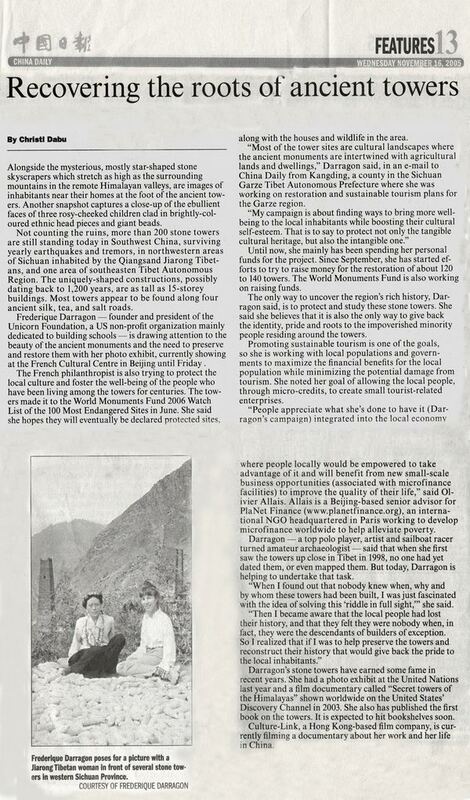 …(I was) “trying to get as much money as I can, because it would go to my foundation in China," Darragon says, referring to the Unicorn Foundation, which funds education for poverty-stricken children in rural parts of that nation.